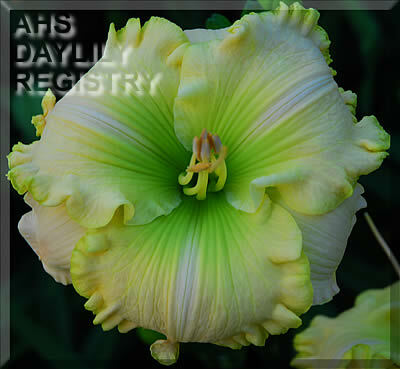 The following is a list of the expensive AHS Registered plants available at the beginning of the summer of 2017. 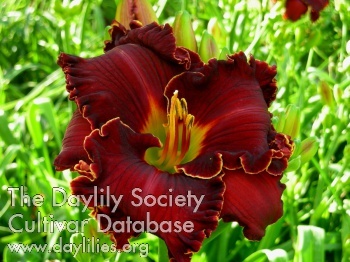 Supplies are limited, and in most cases there is only 1 or 2 plants of some varieties. 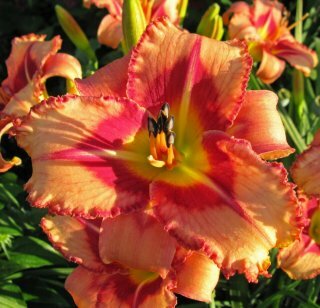 So they may be sold before you come to see them. 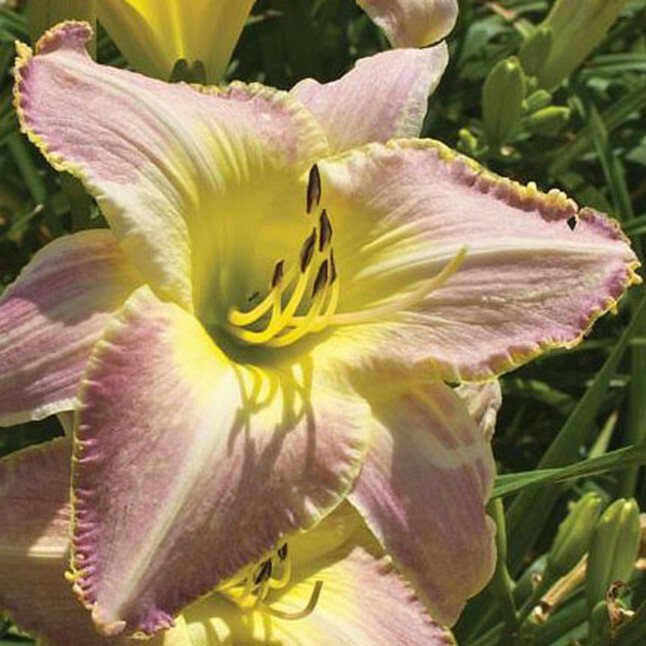 Prices in this list range from $21 per plant to $500 per plant. 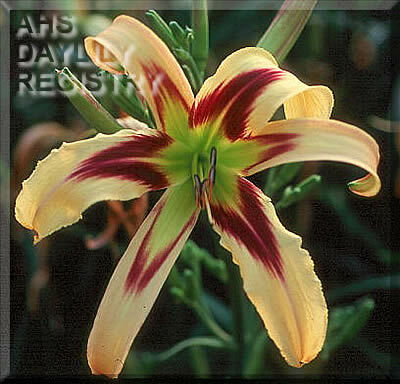 The most expensive ones are ones I am using to hybridize my next year seedlings with. 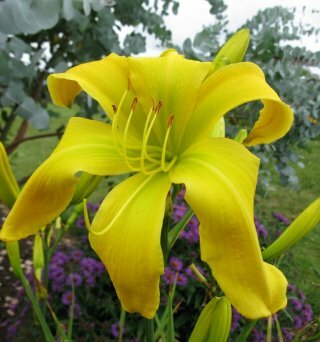 I really do not want to sell them. 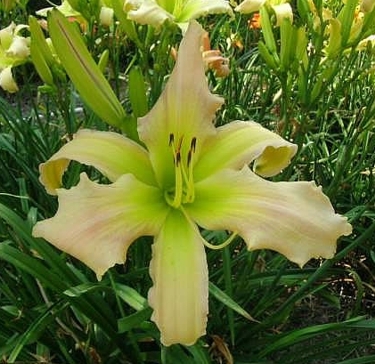 Some are out of stock from their original hybridizer, others are available from the original hybridizer - but with exchange, shipping, taxes and duty crossing the border, it adds up. 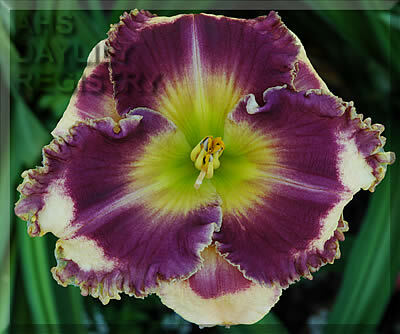 Generally the most expensive ones are in the A0, A1, M1, and H beds, and generally there is only one or two of them. 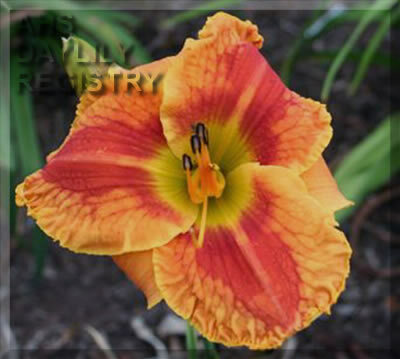 I reserve the right to NOT sell ones I am using for hybridizing. 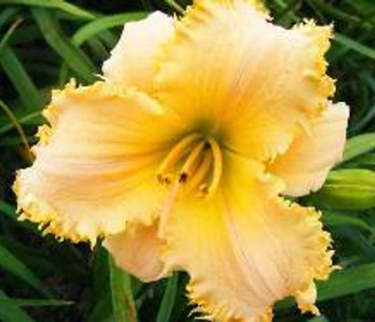 The least expensive ones in this list are generally slightly older varieties, more proven than the newer ones, and more abundant. 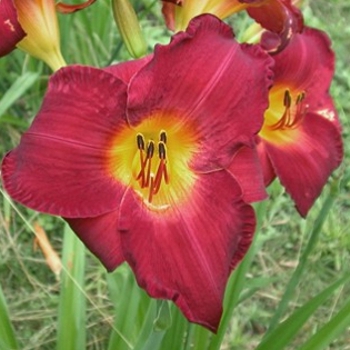 They are mainly in the C, B and H beds. 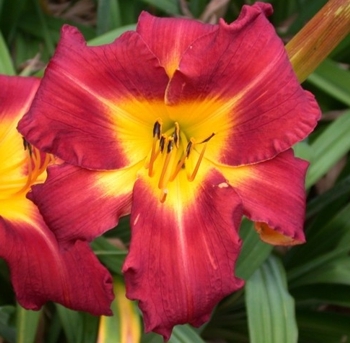 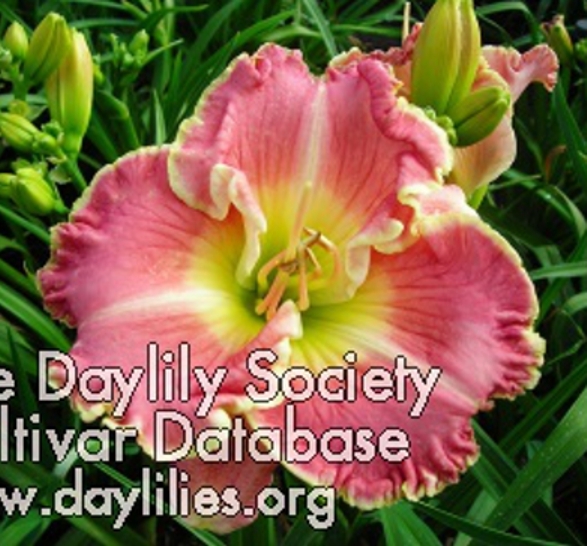 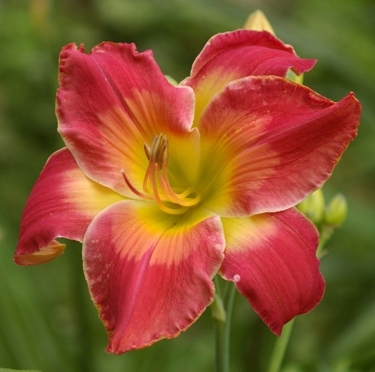 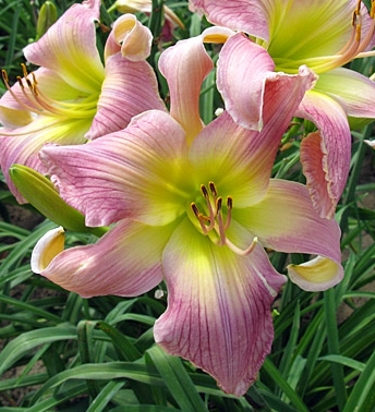 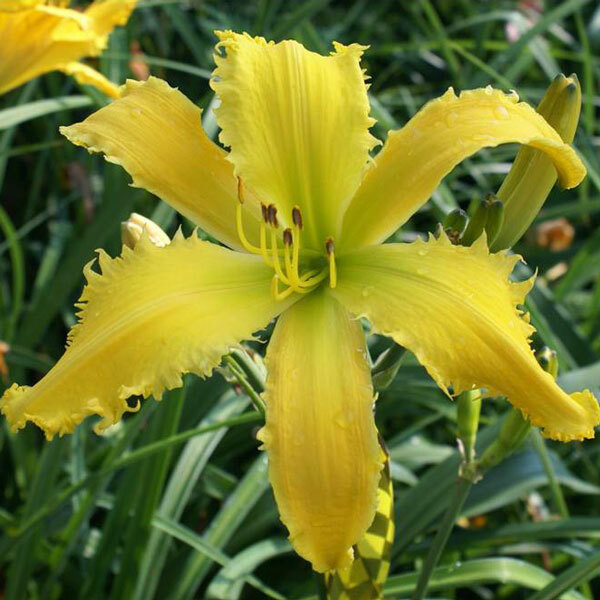 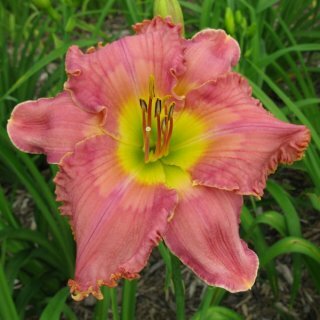 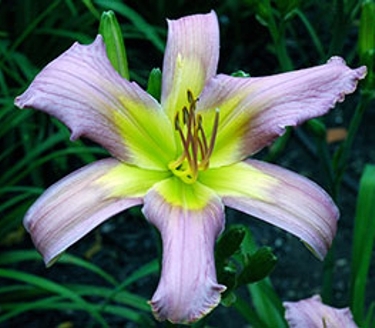 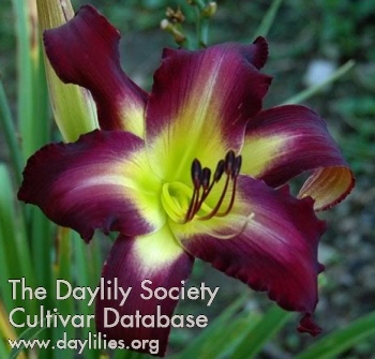 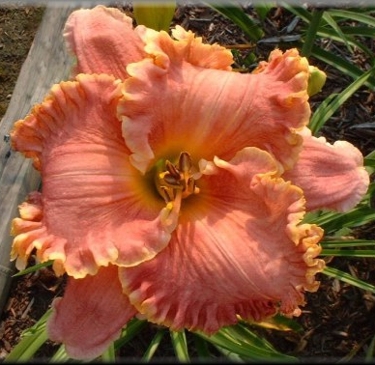 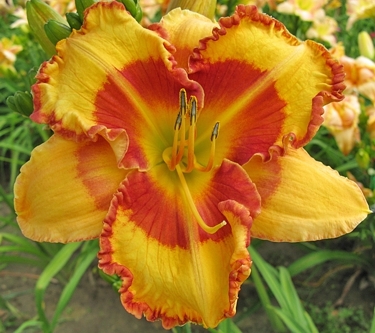 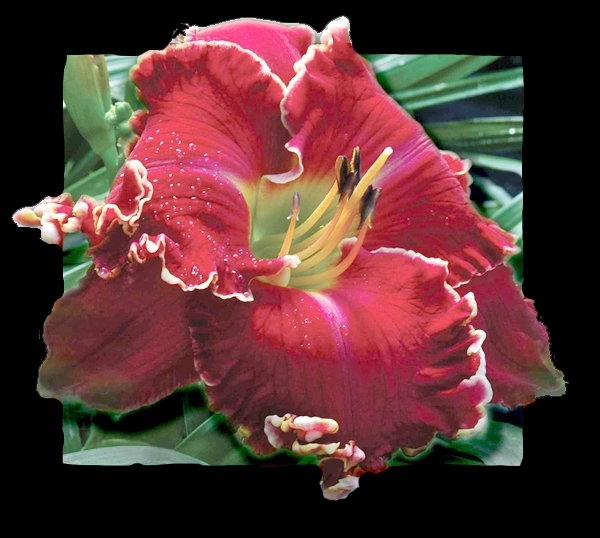 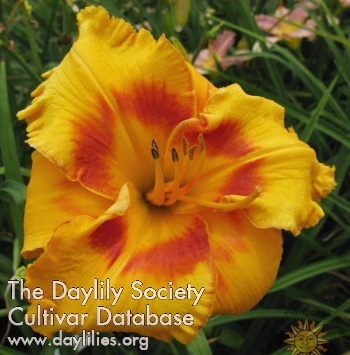 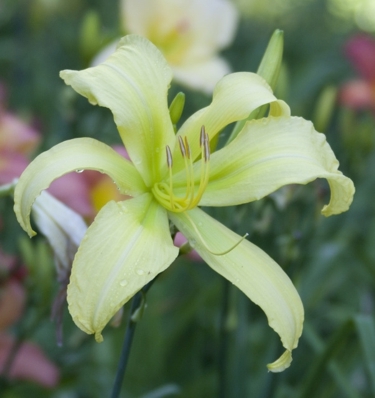 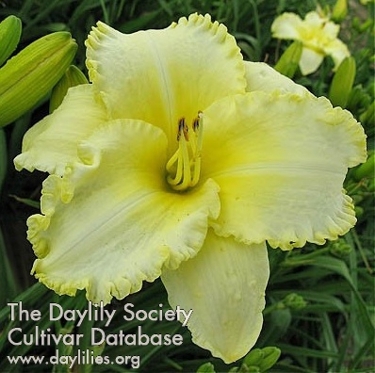 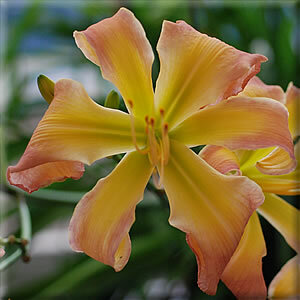 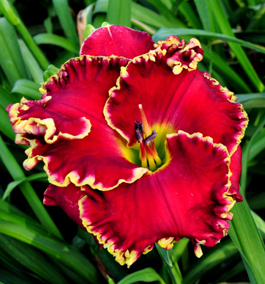 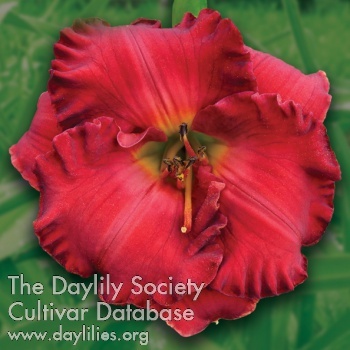 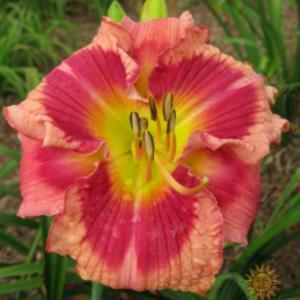 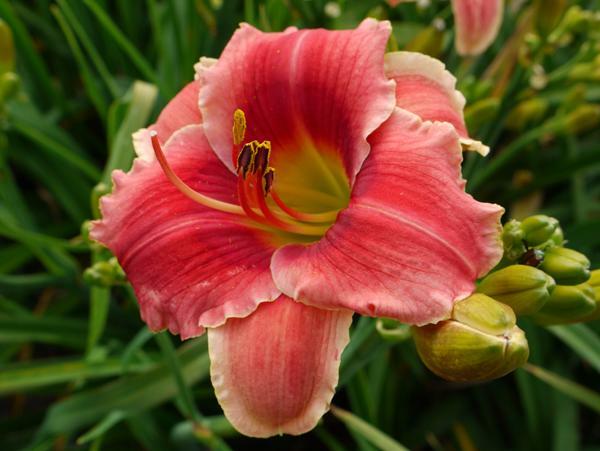 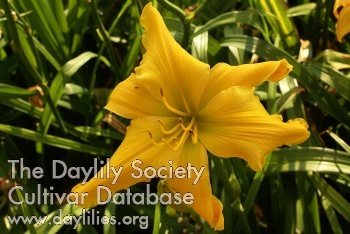 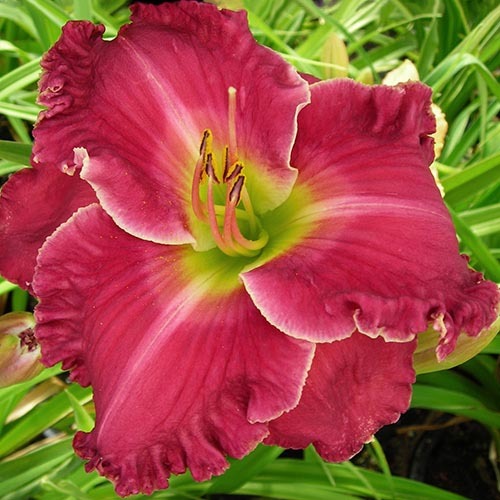 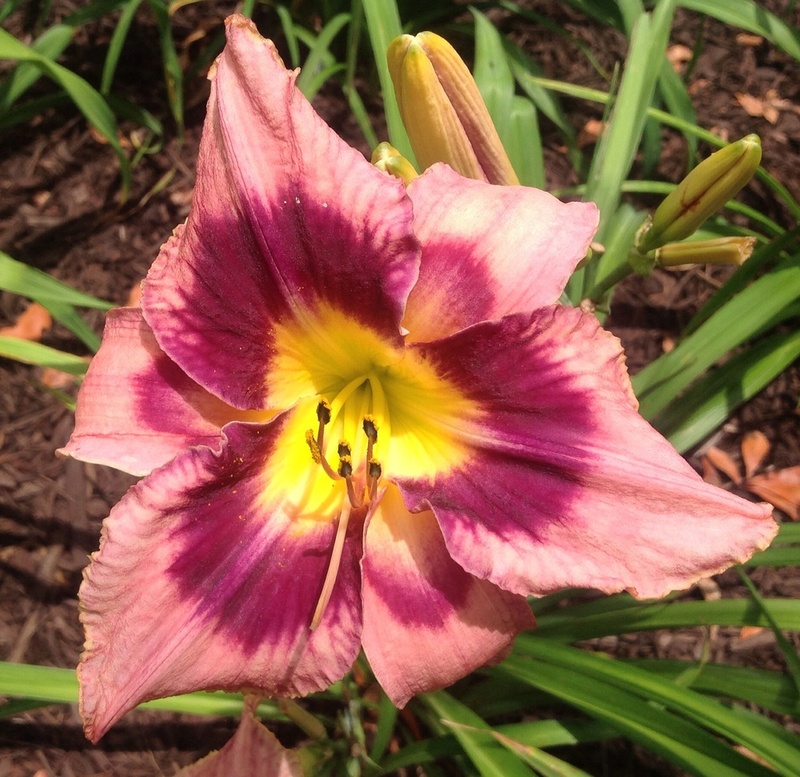 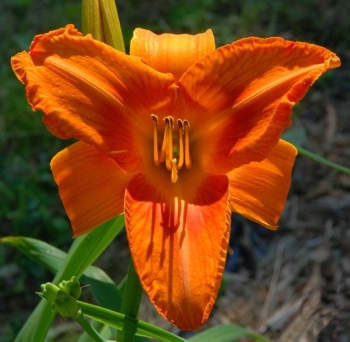 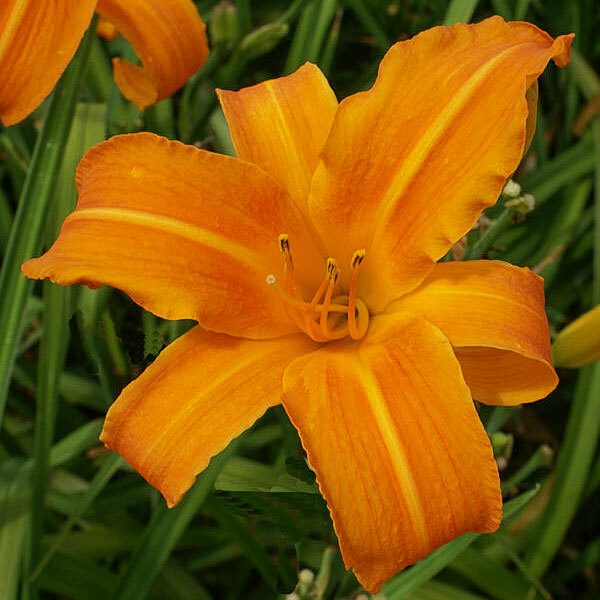 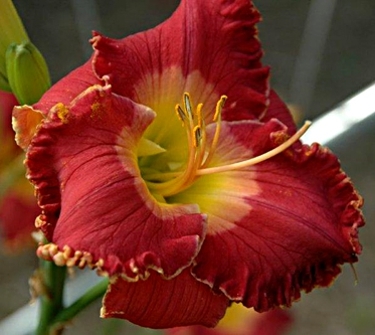 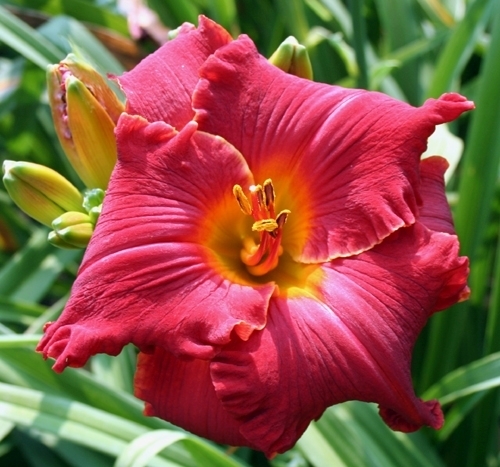 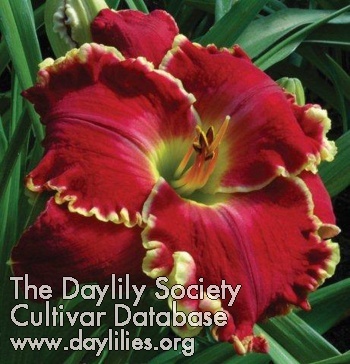 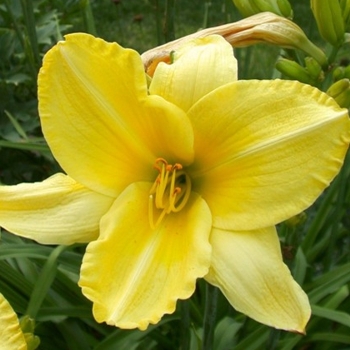 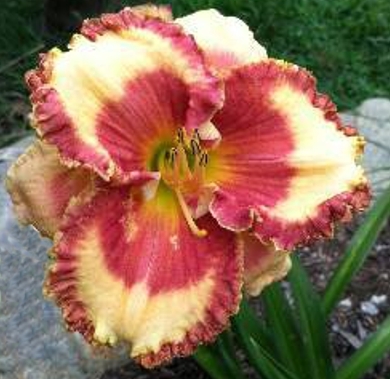 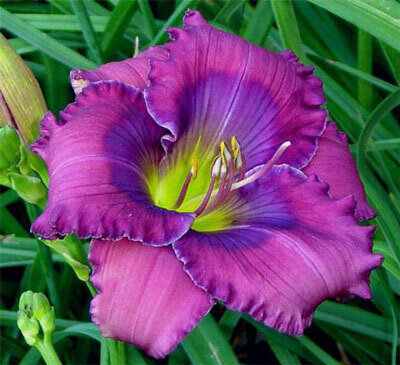 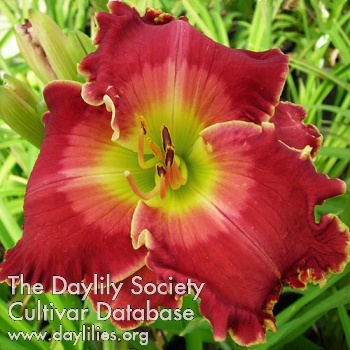 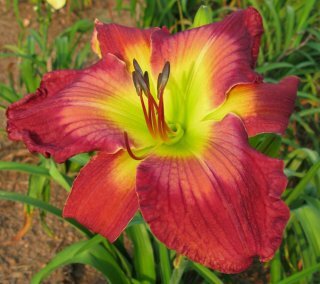 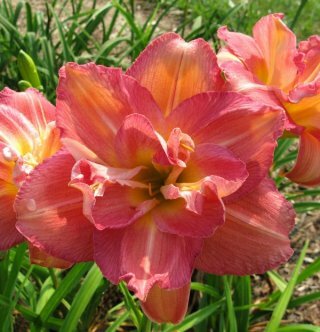 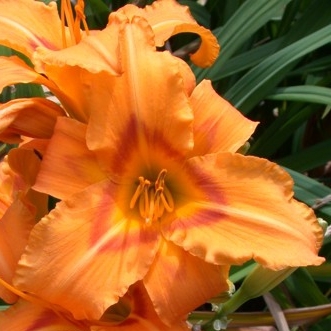 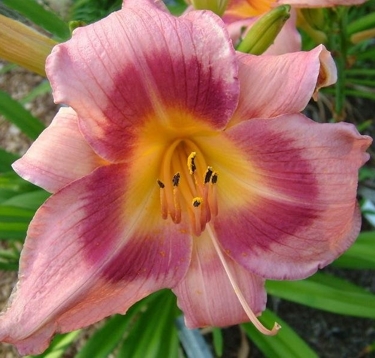 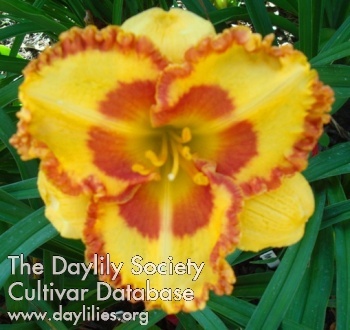 Daylilies are available in two genetic types, tetraploid and diploid. 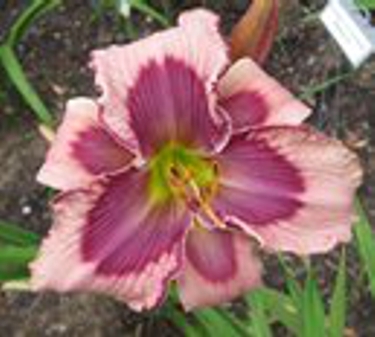 Tetraploids and diploids do not inter-breed. 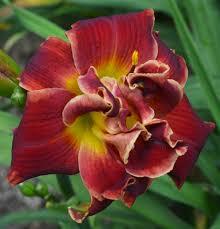 A tetraploid has 4 sets of chromosomes and a Diploid has two sets. 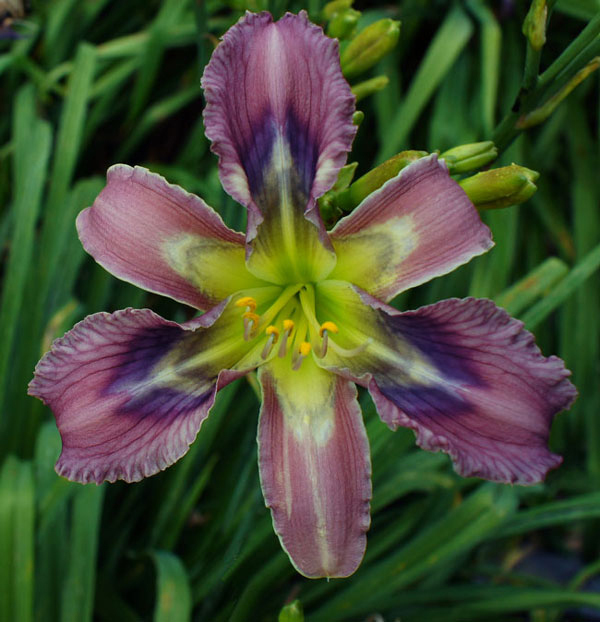 Generally most tetraploids are bigger and stronger, but diploids come in a greater variety at present, and most bluish, patterned and spiders are diploid. 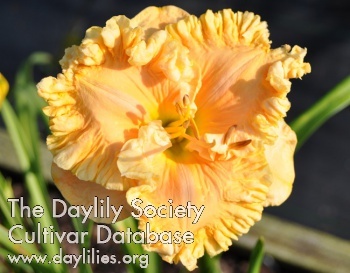 As more people convert diploids to tetraploids, tetraploids are matching the variety in diploids, and in many cases exceeding them as they have more possibilities with more chromosomes. 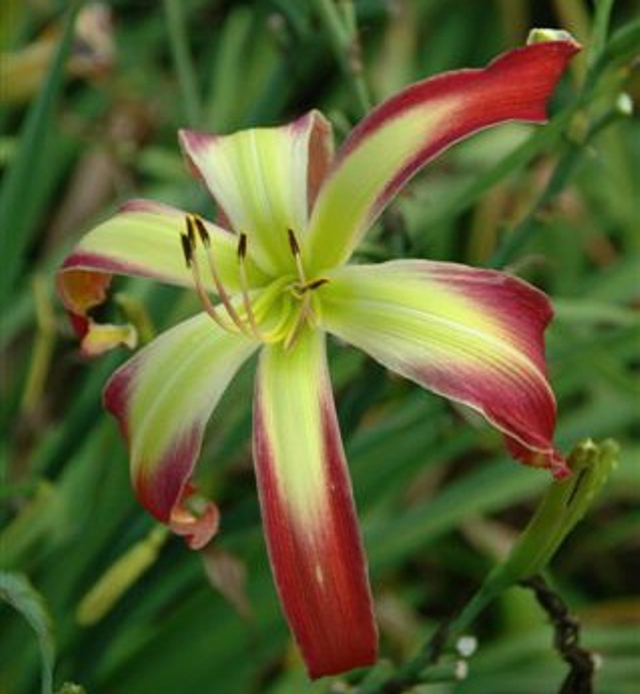 In general it is difficult to see a difference, and one chooses a plant for its looks and hardy growth, not its genetic makeup. 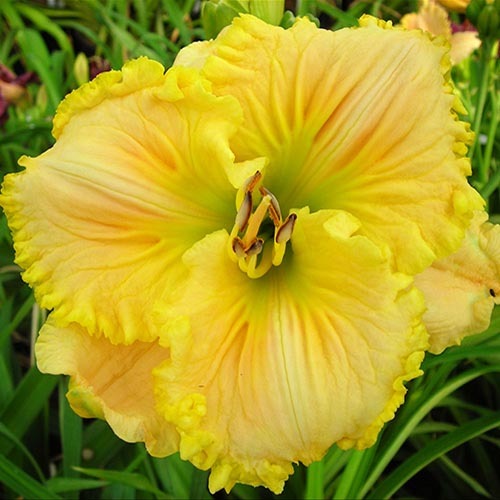 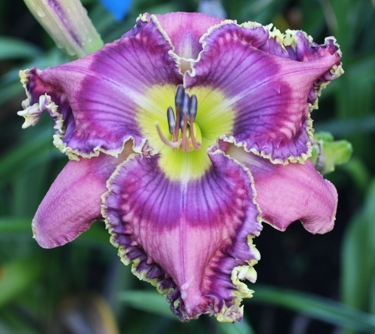 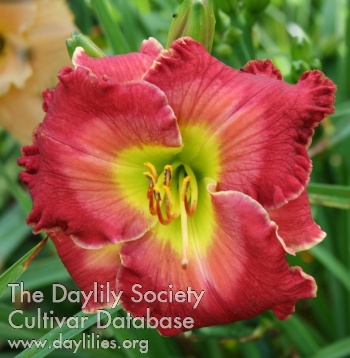 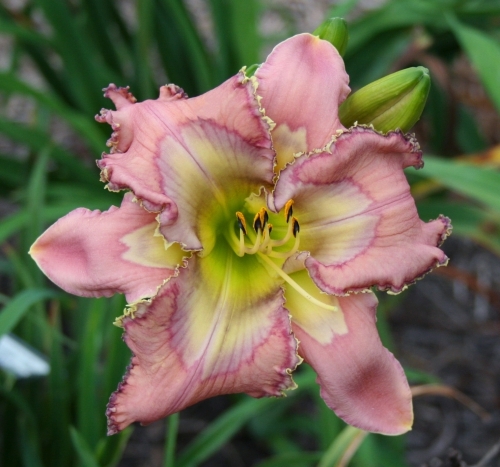 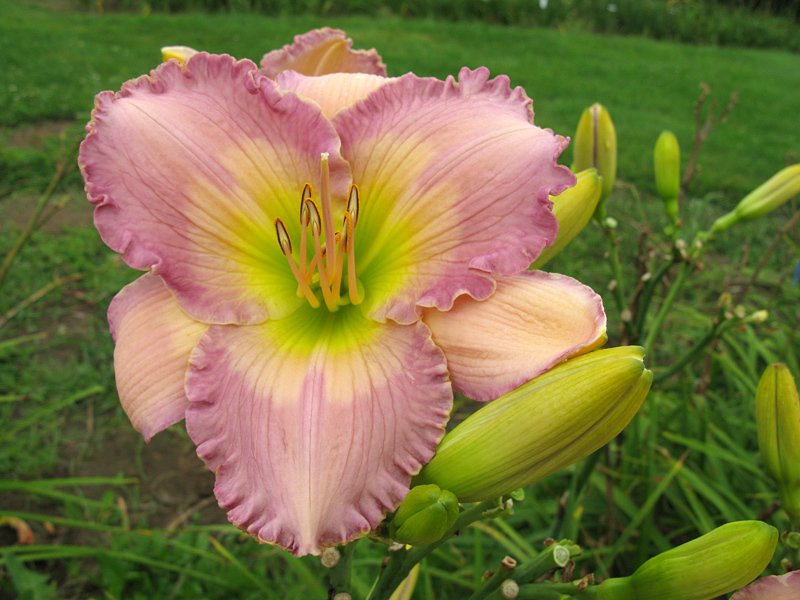 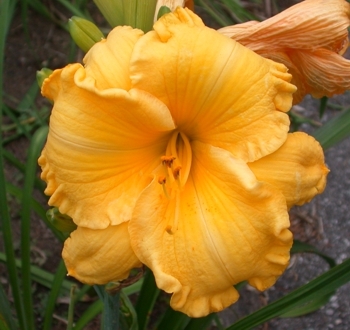 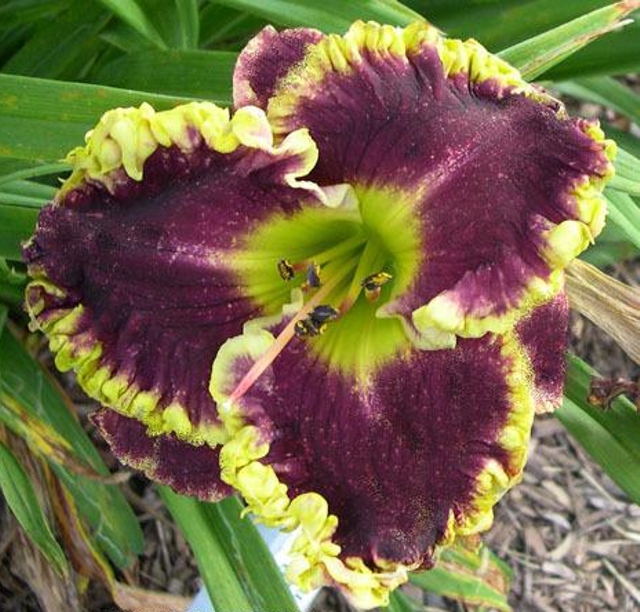 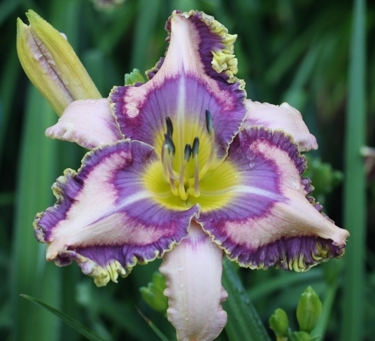 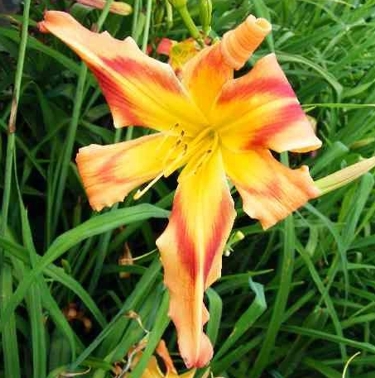 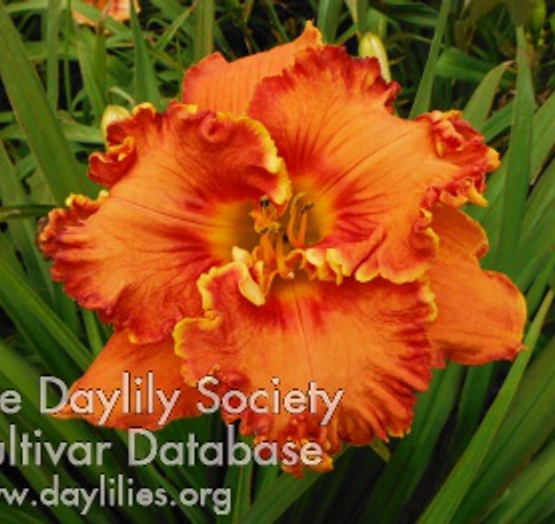 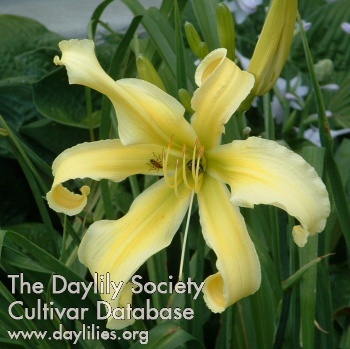 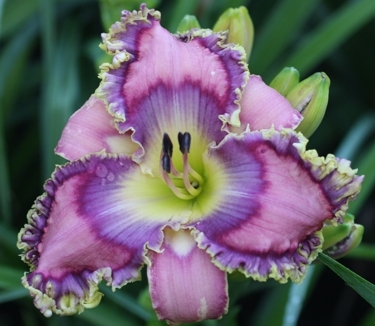 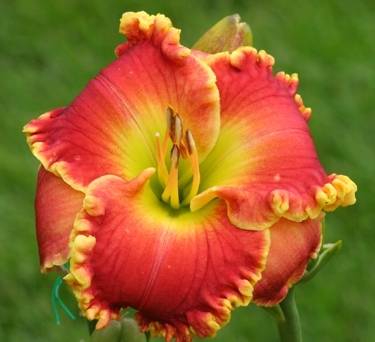 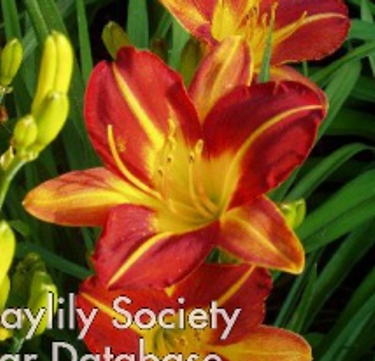 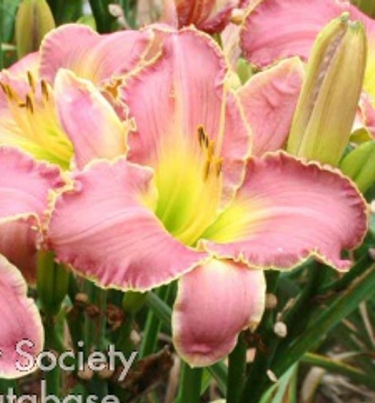 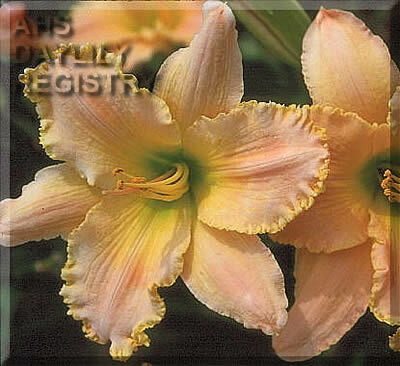 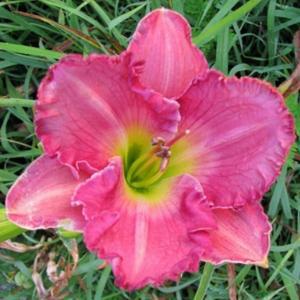 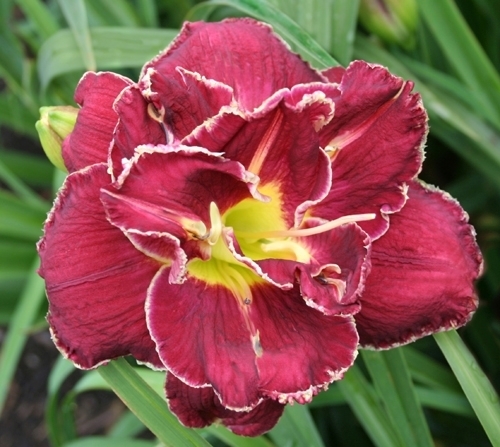 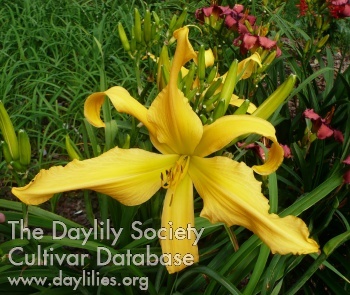 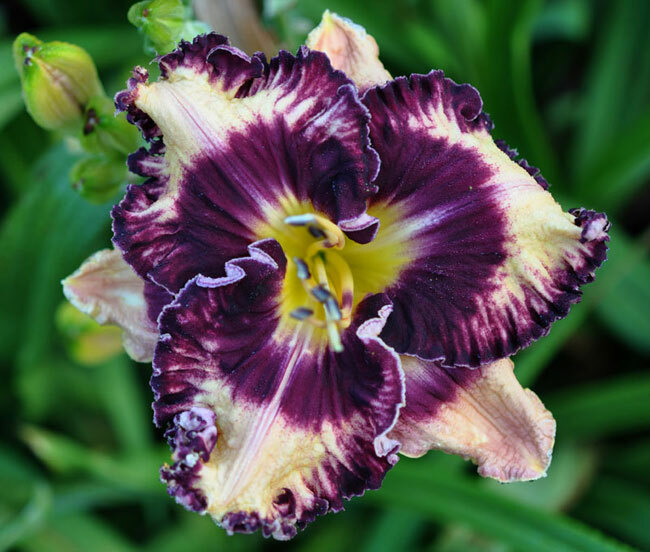 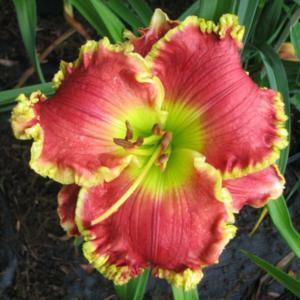 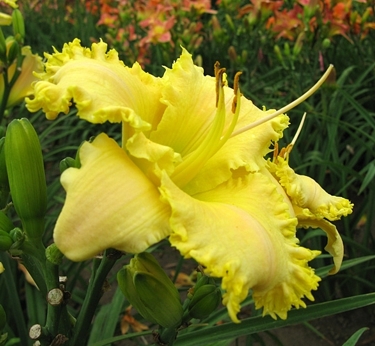 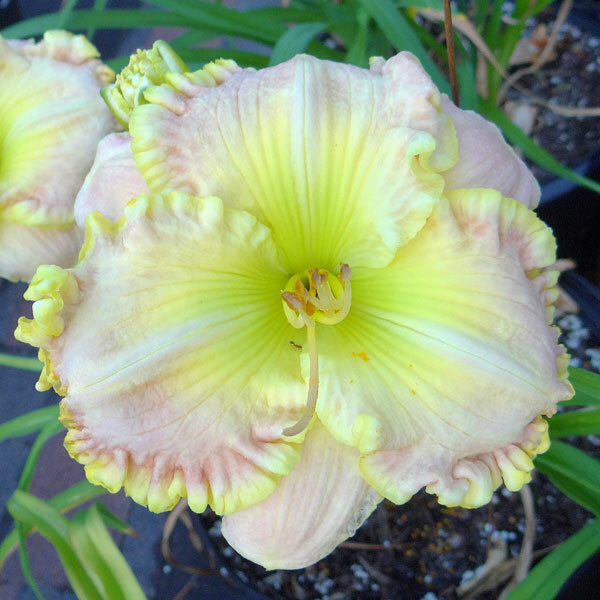 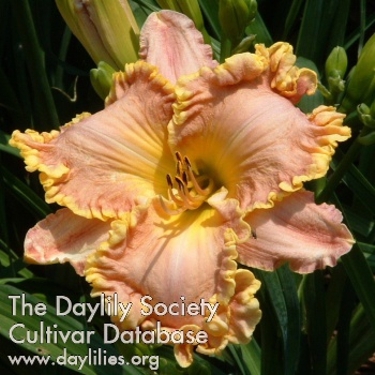 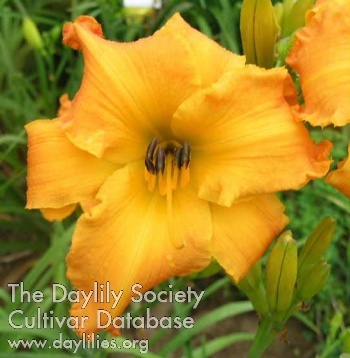 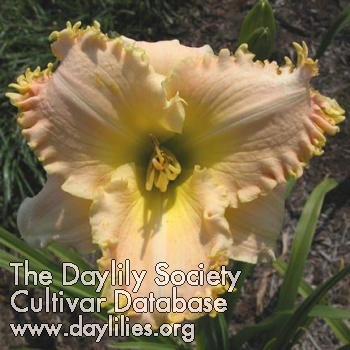 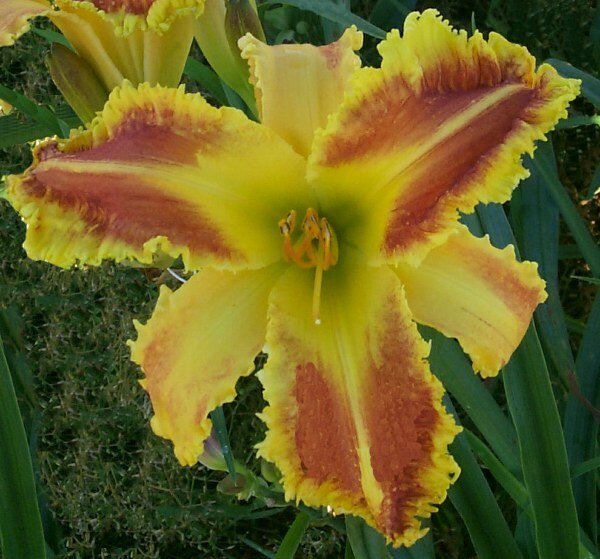 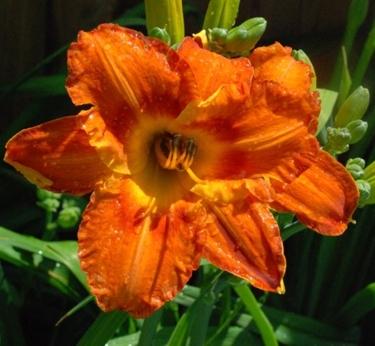 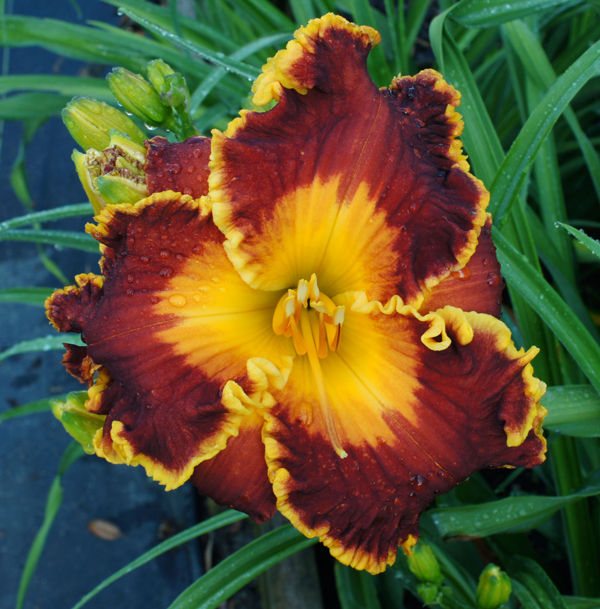 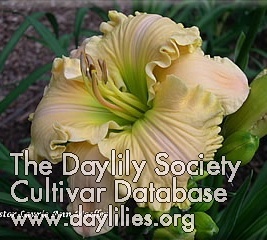 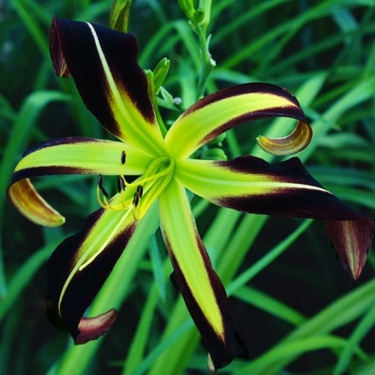 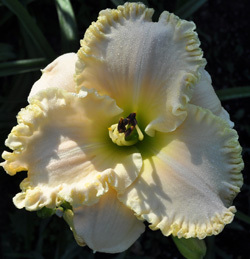 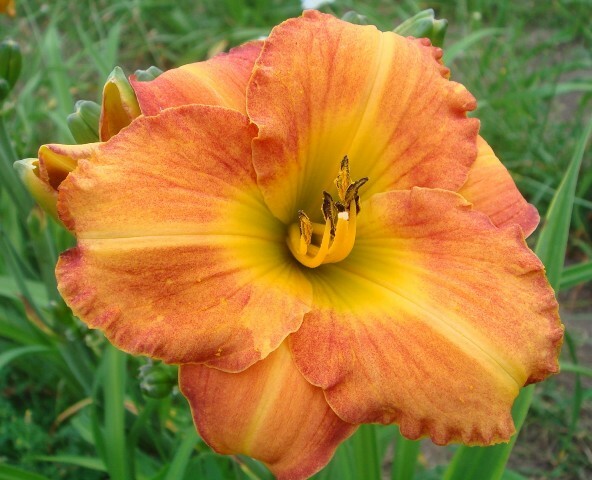 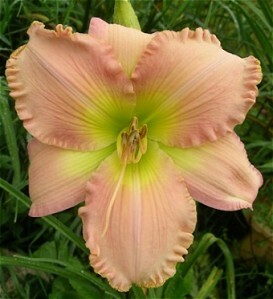 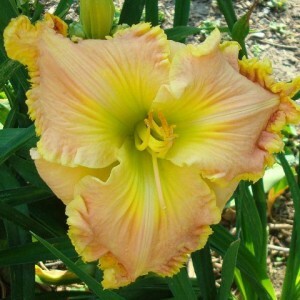 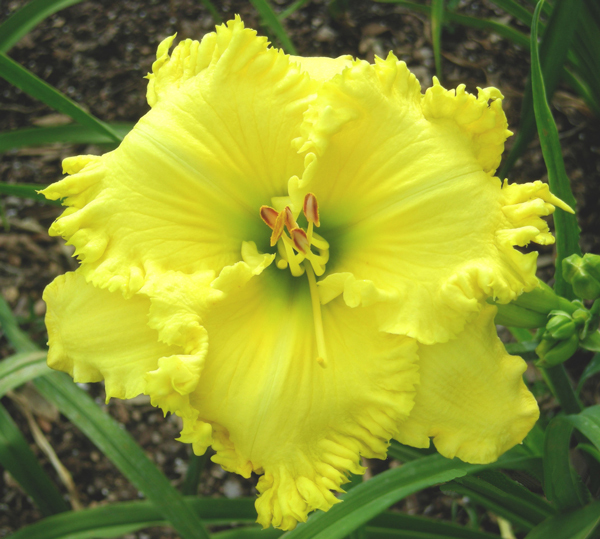 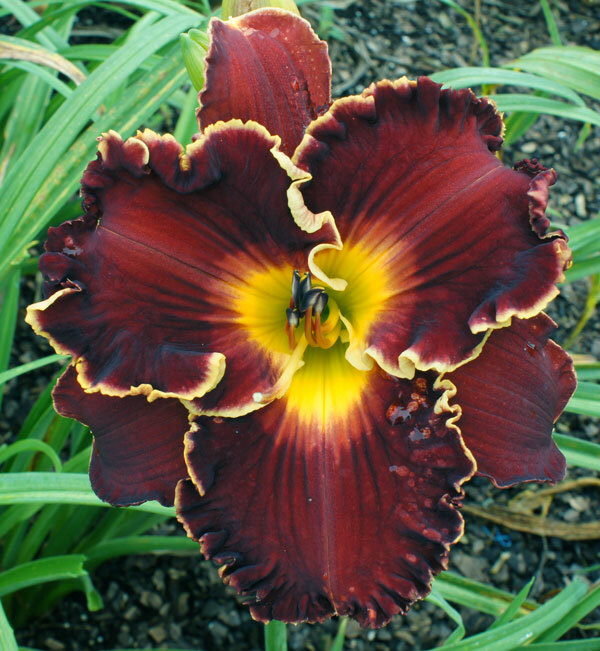 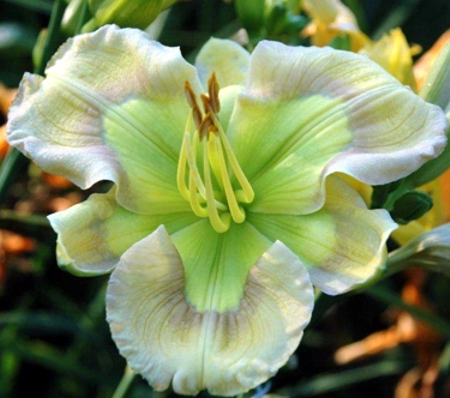 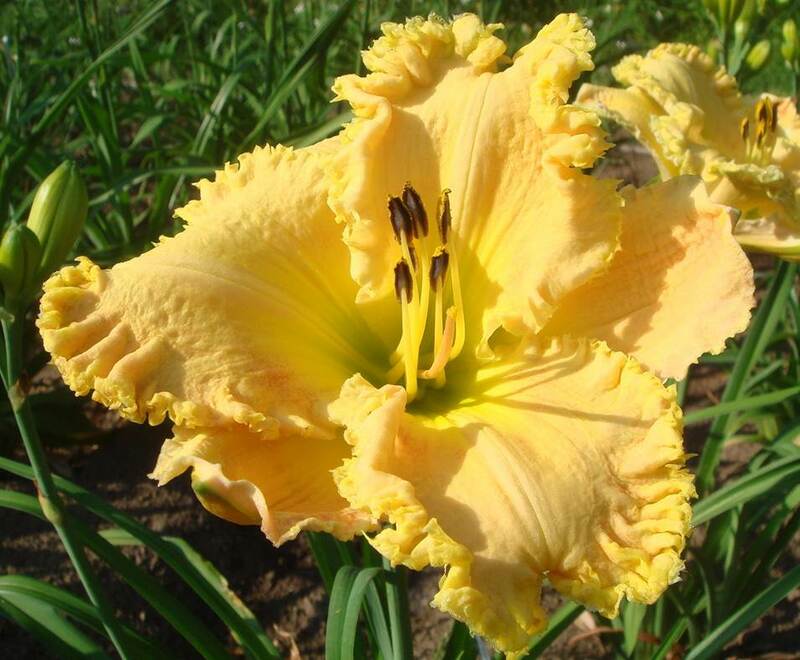 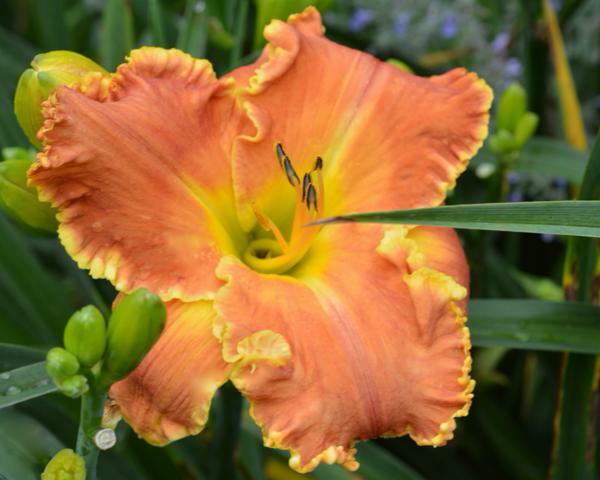 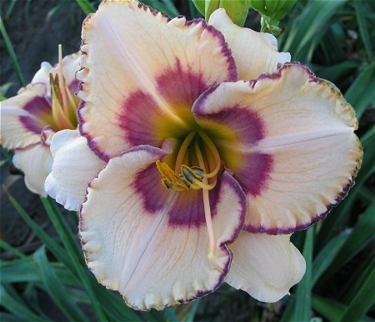 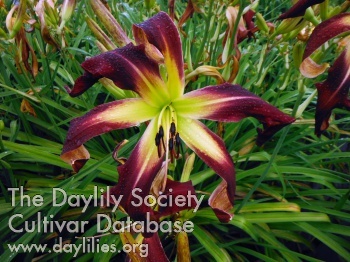 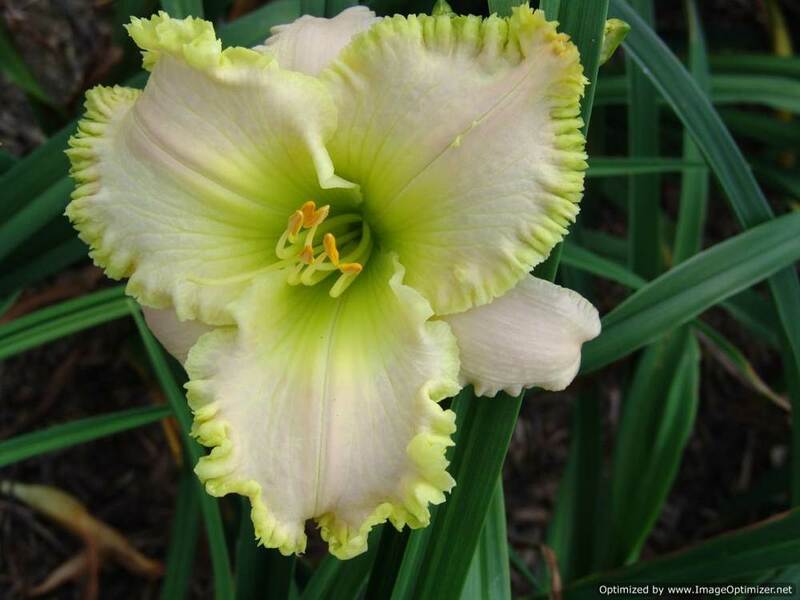 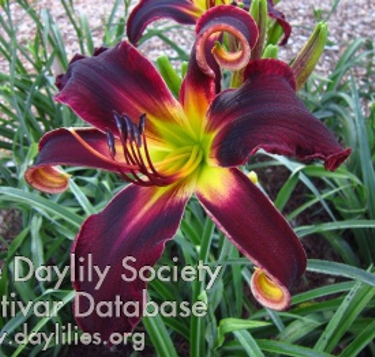 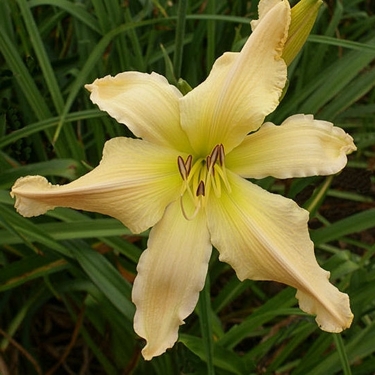 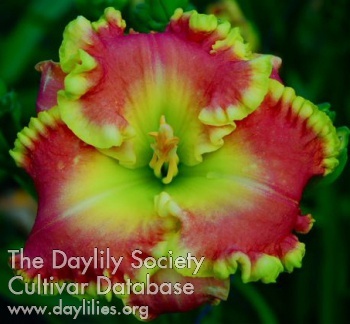 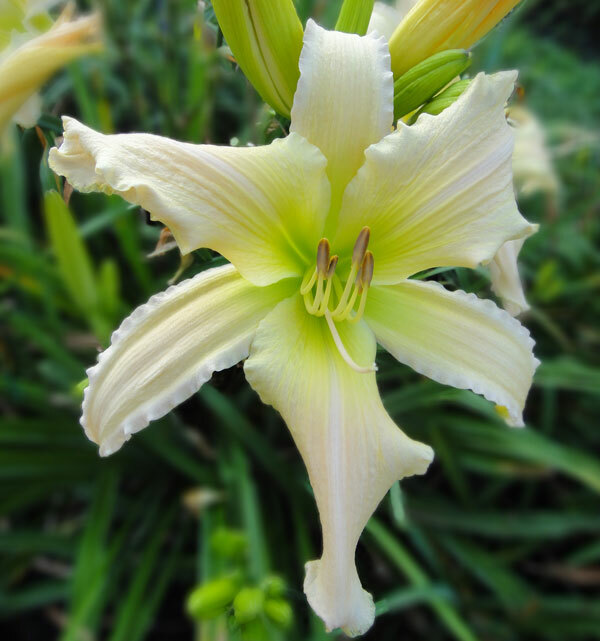 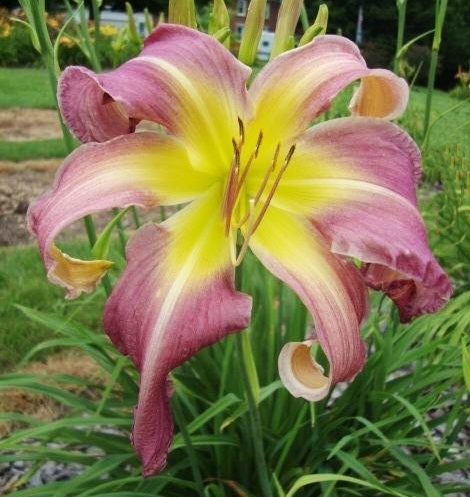 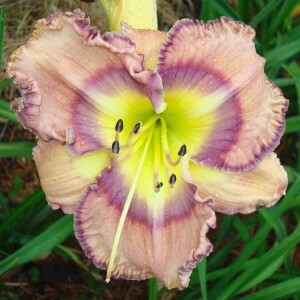 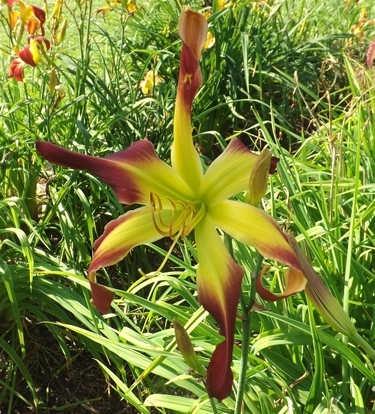 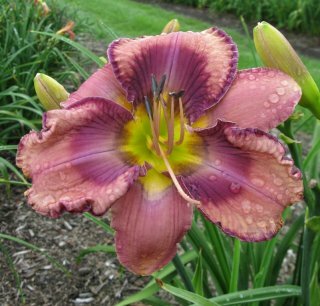 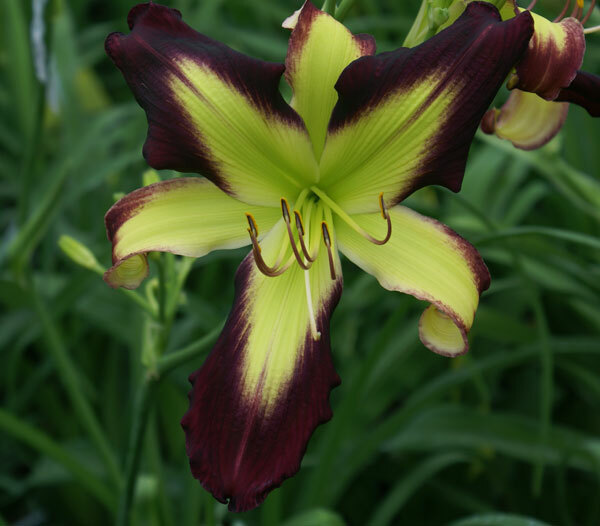 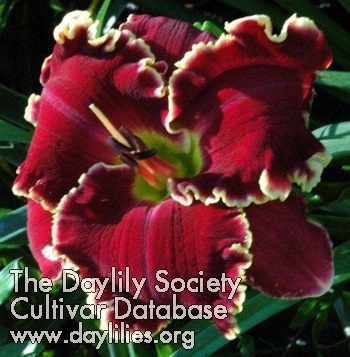 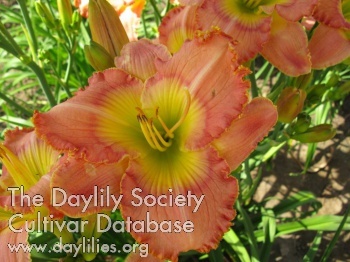 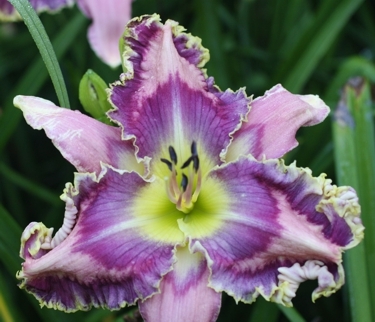 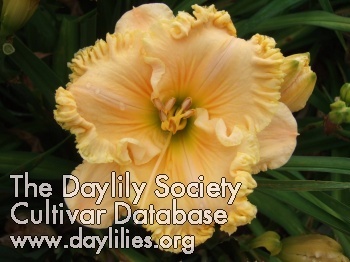 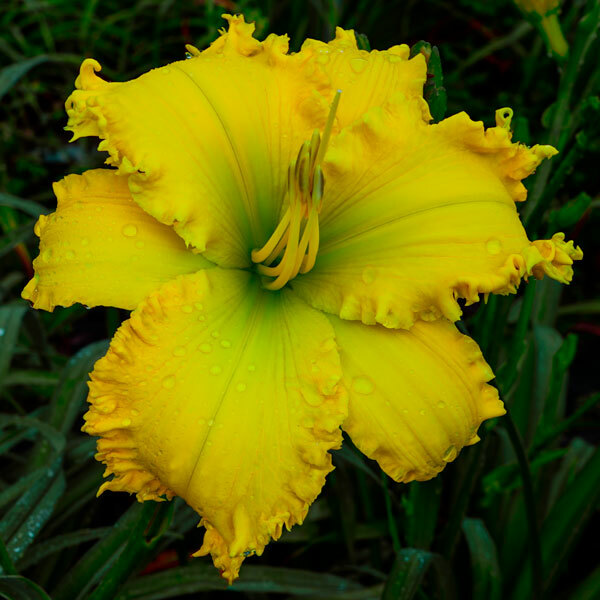 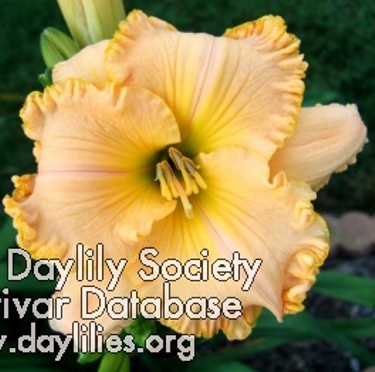 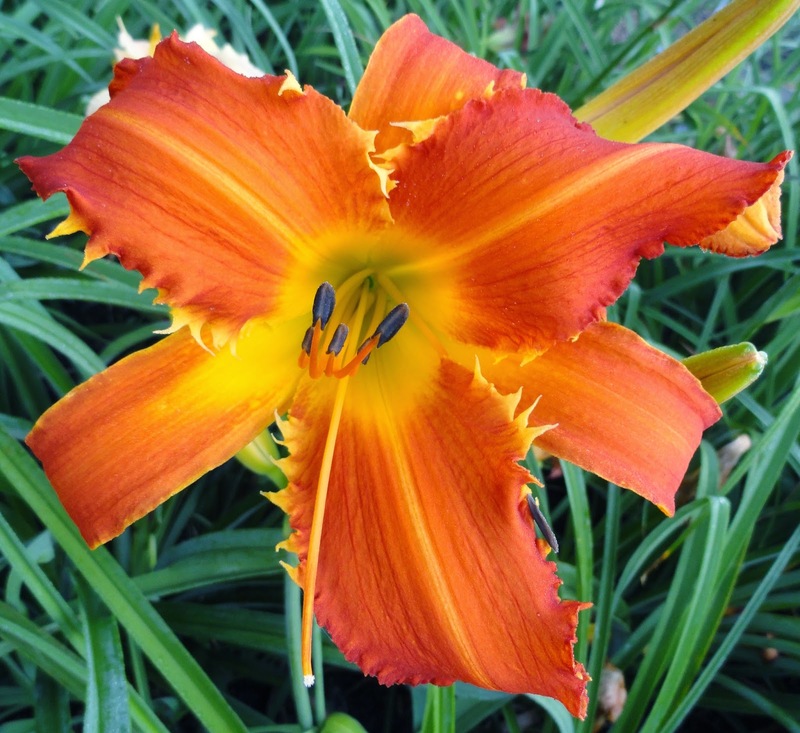 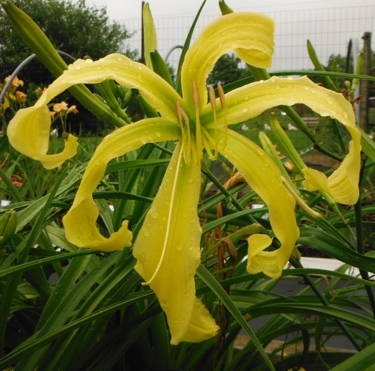 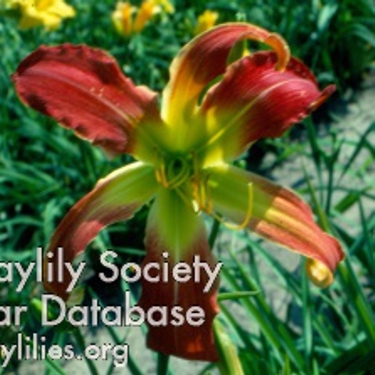 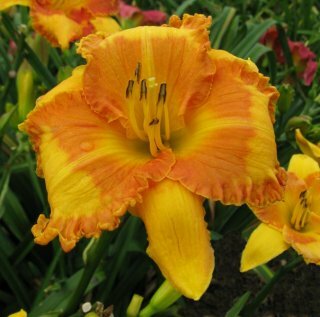 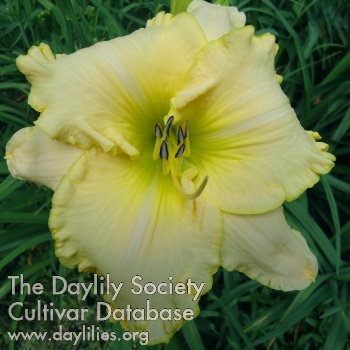 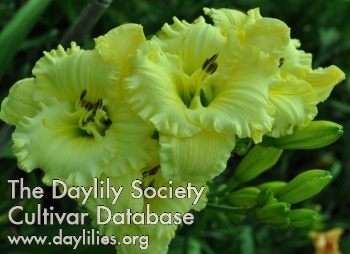 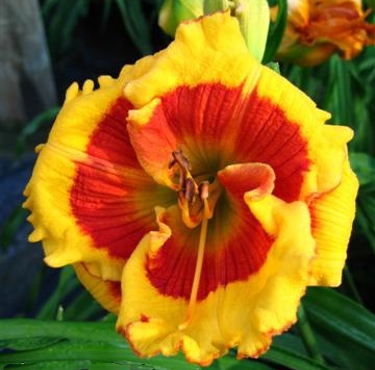 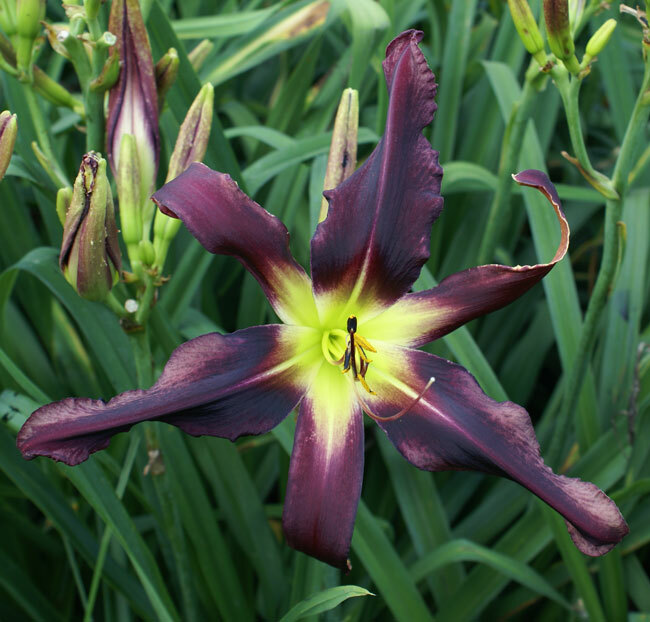 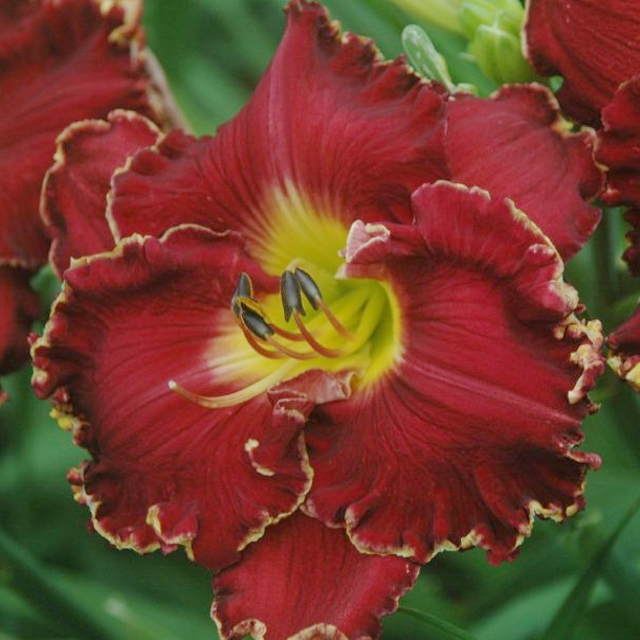 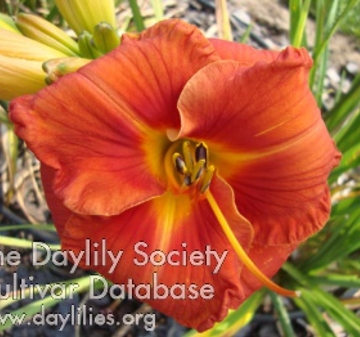 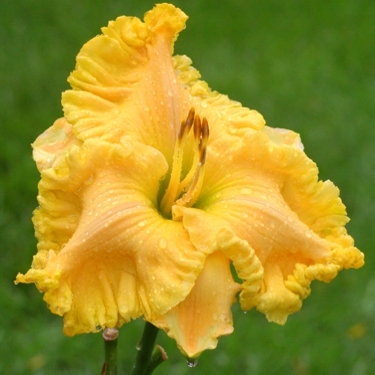 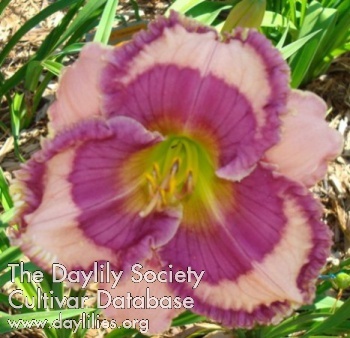 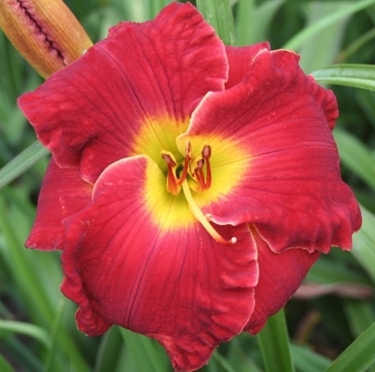 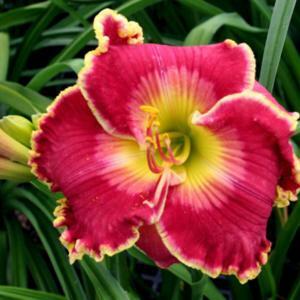 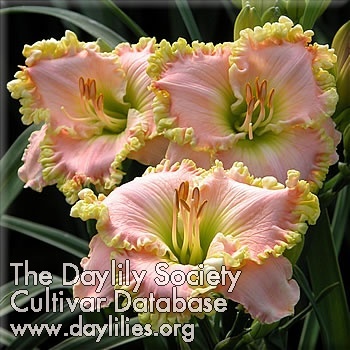 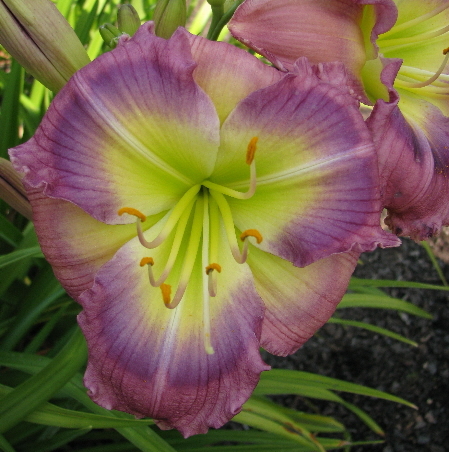 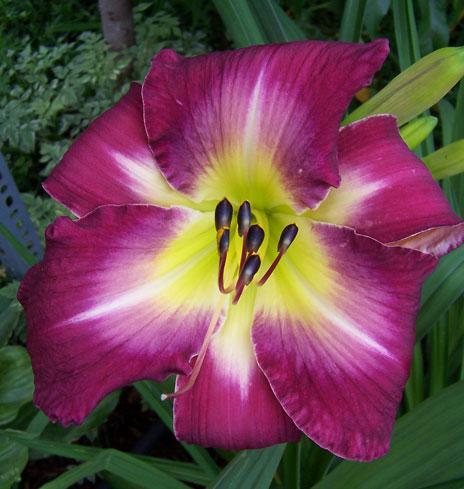 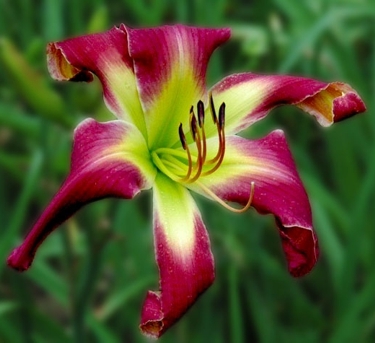 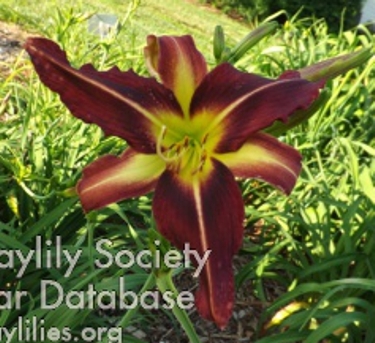 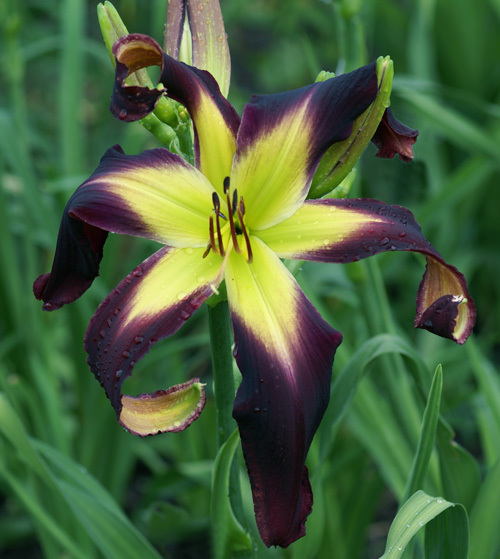 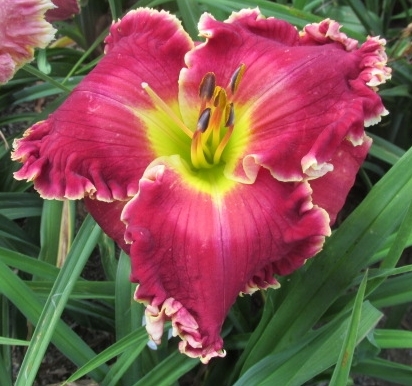 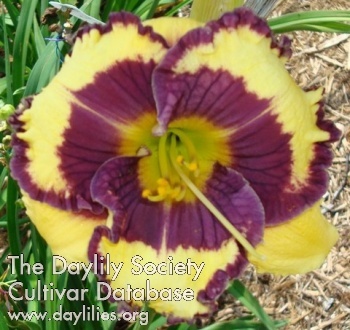 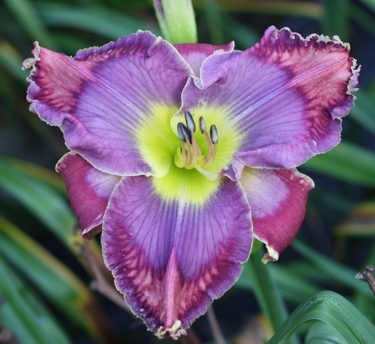 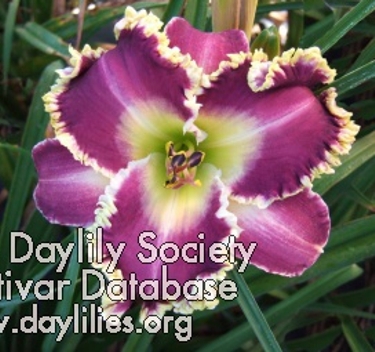 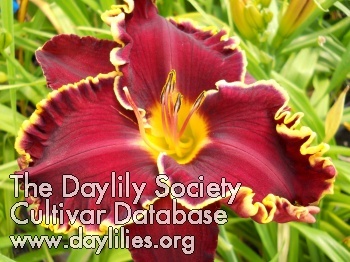 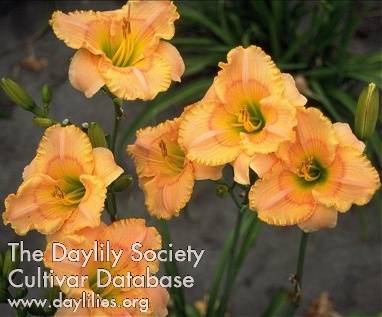 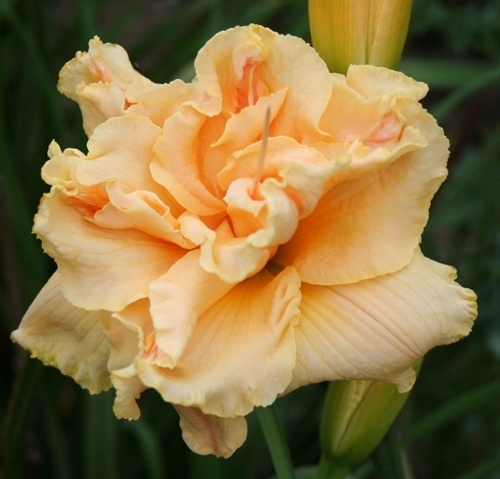 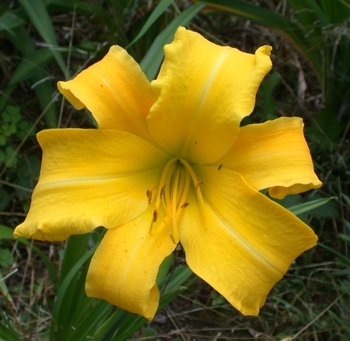 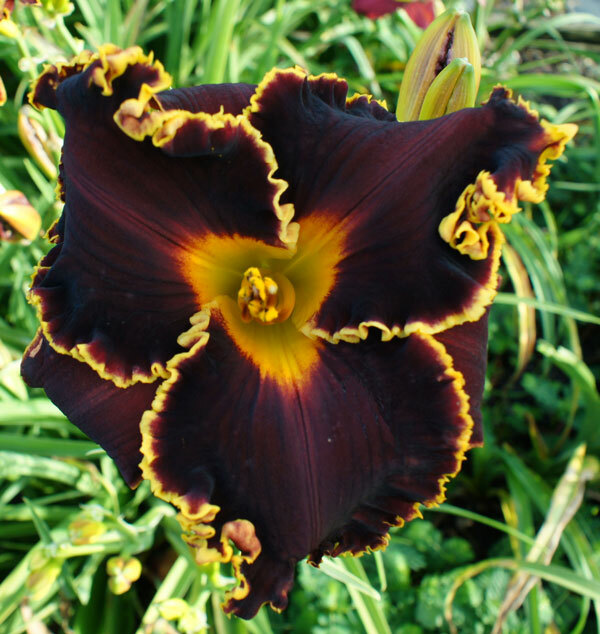 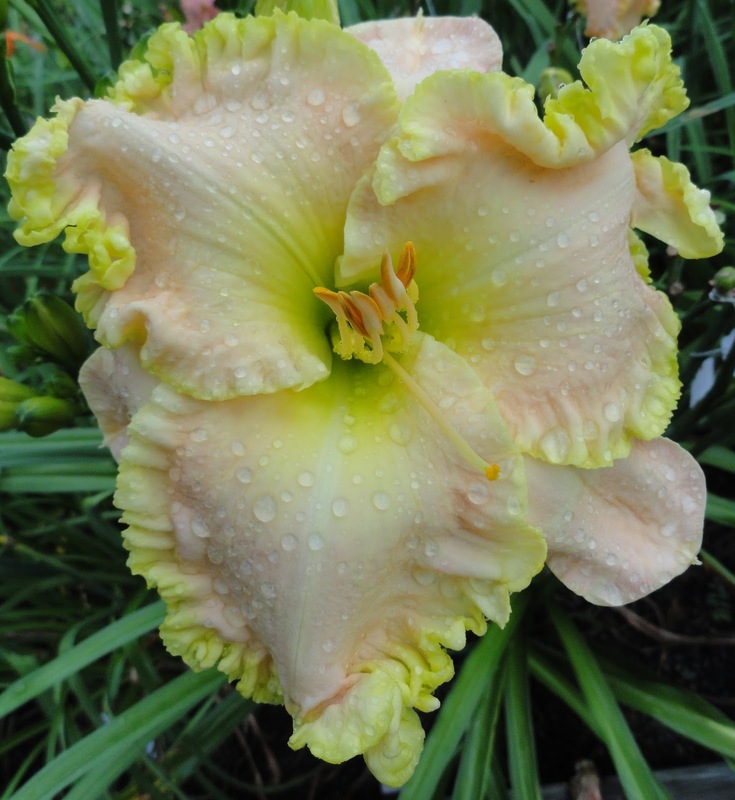 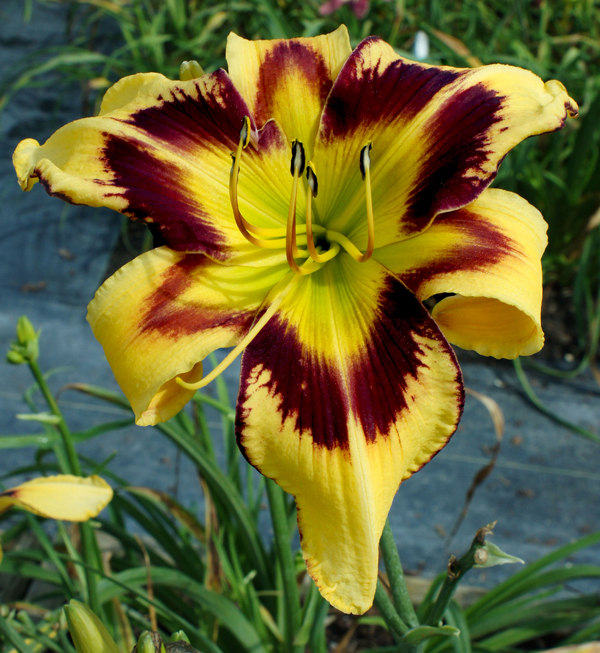 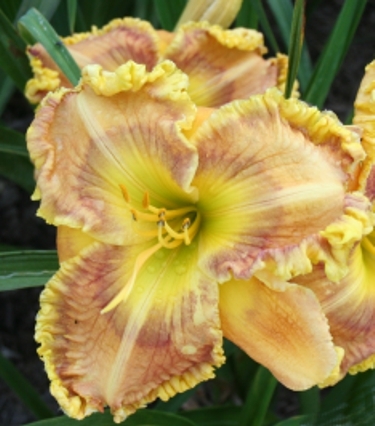 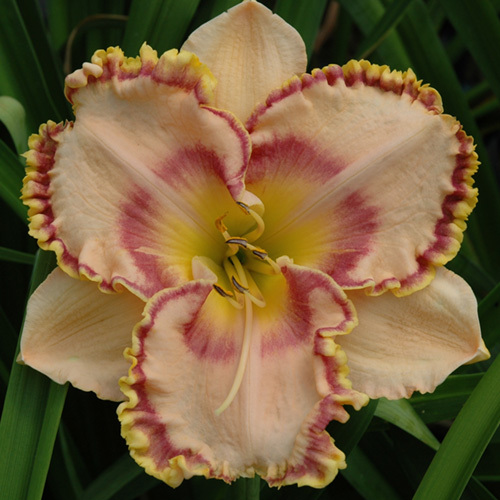 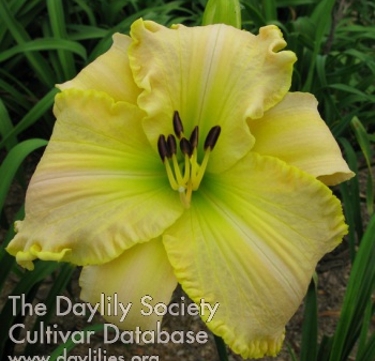 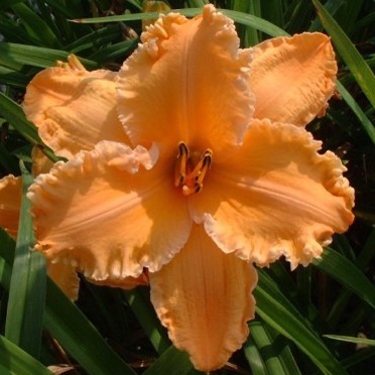 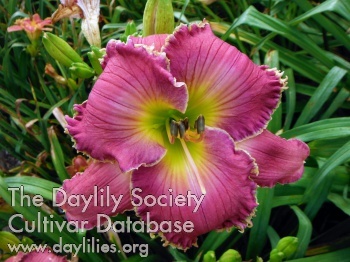 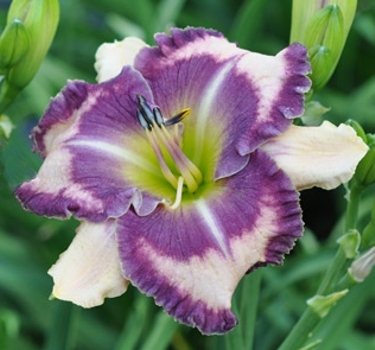 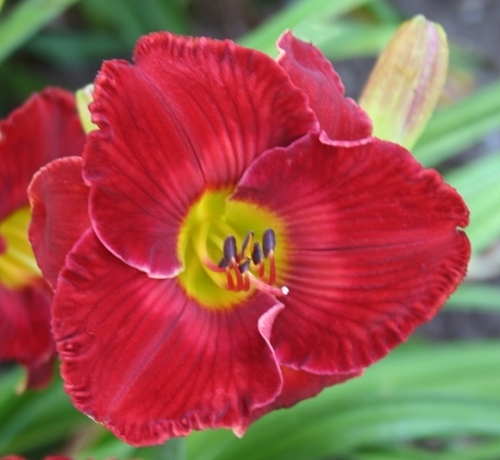 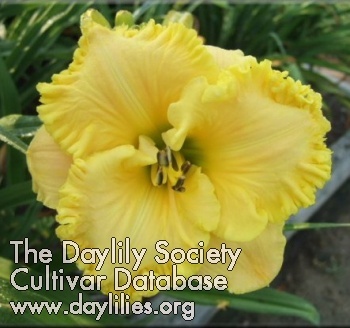 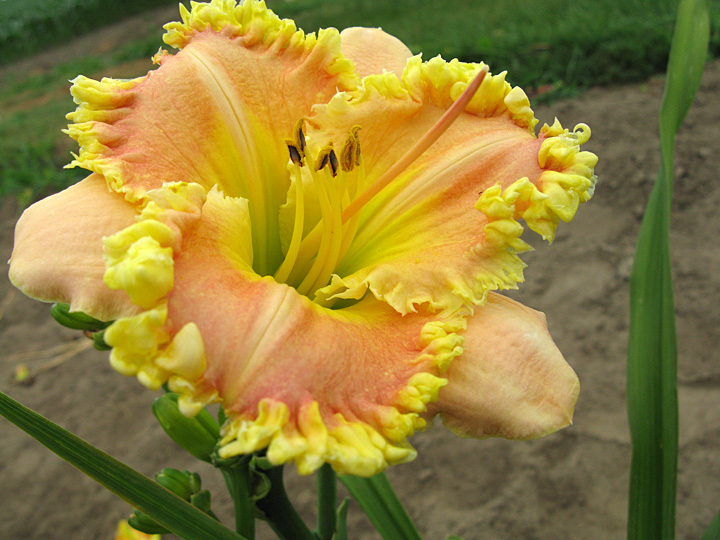 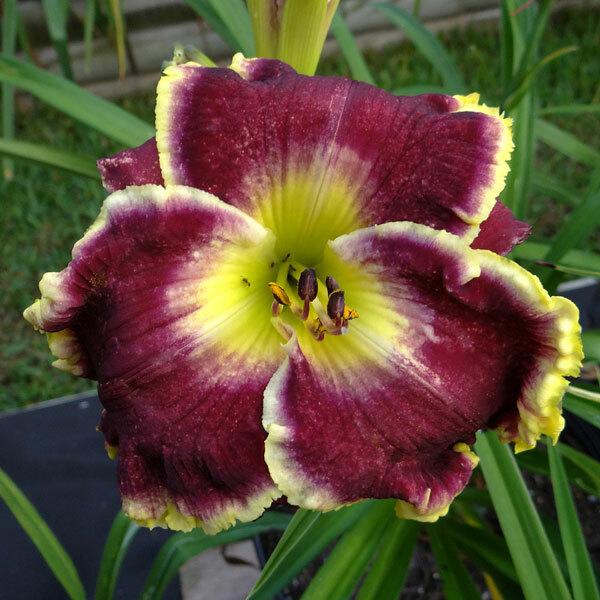 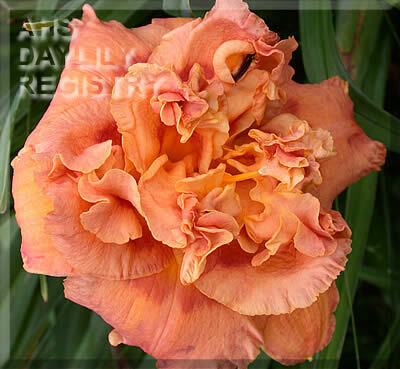 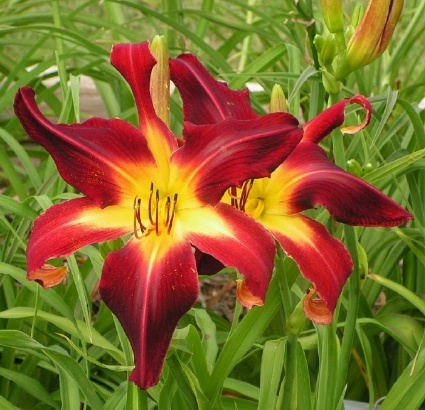 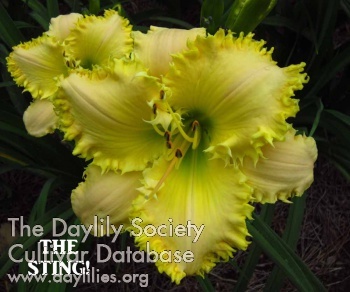 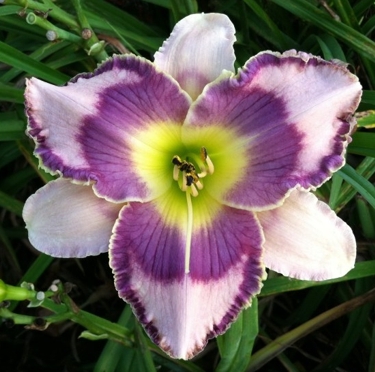 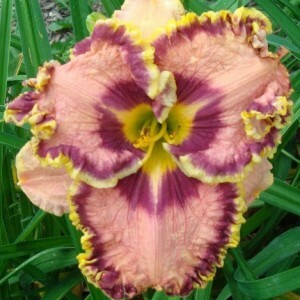 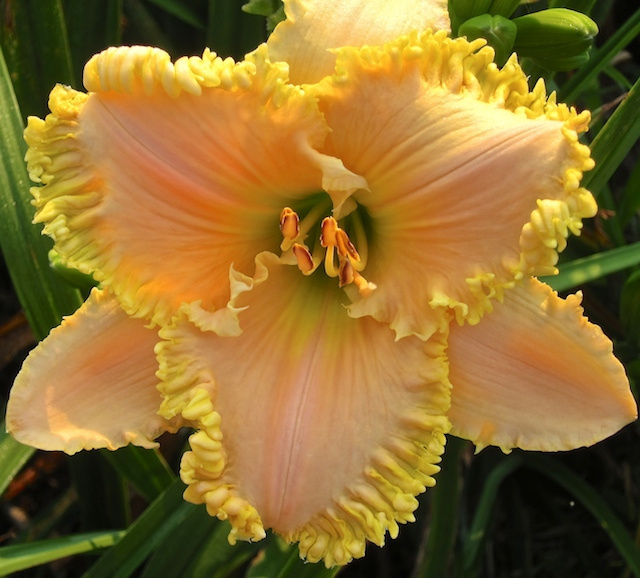 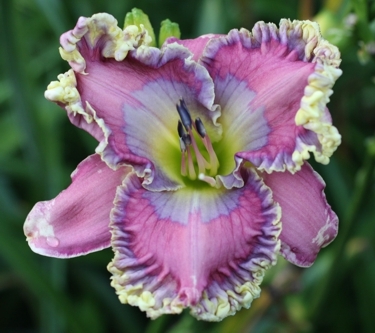 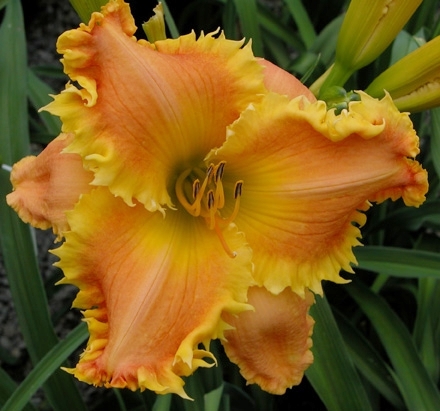 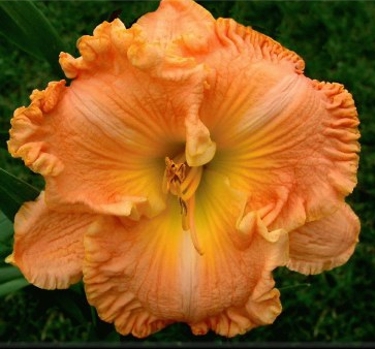 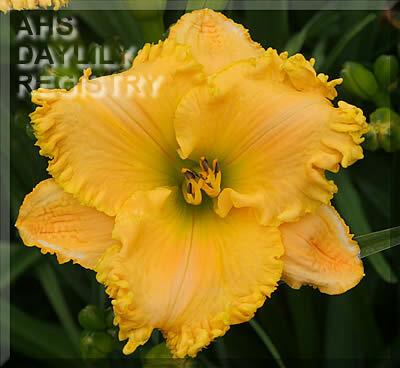 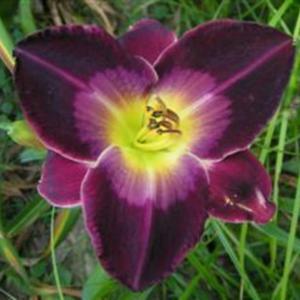 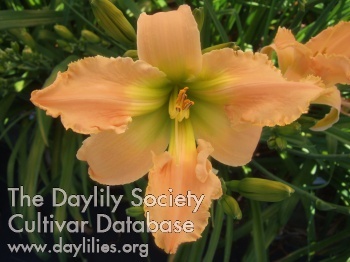 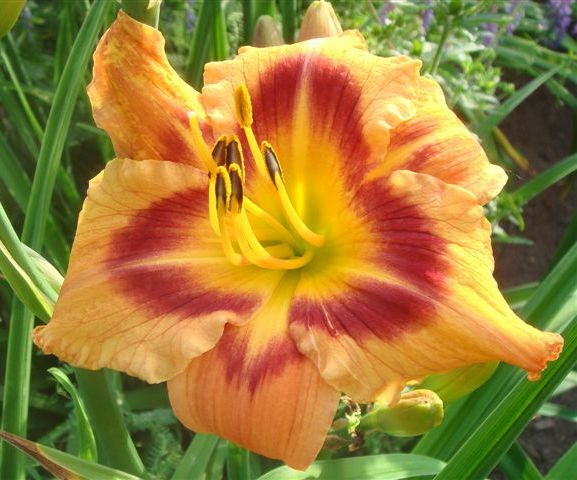 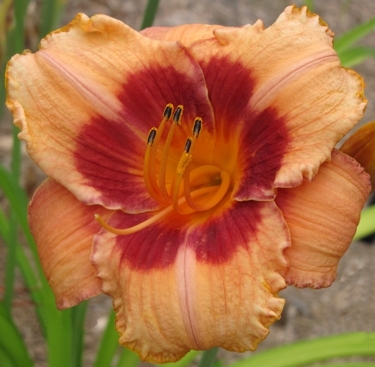 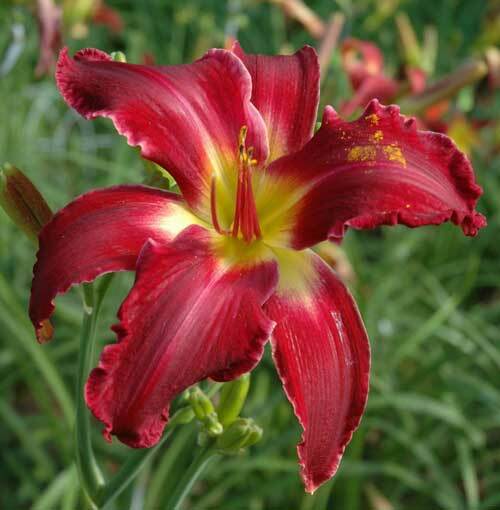 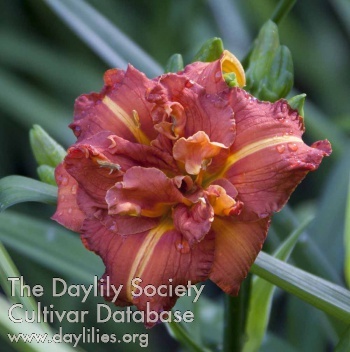 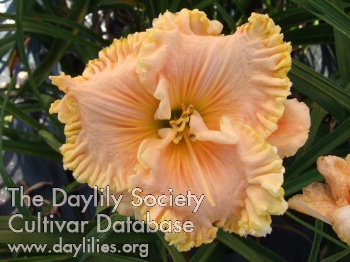 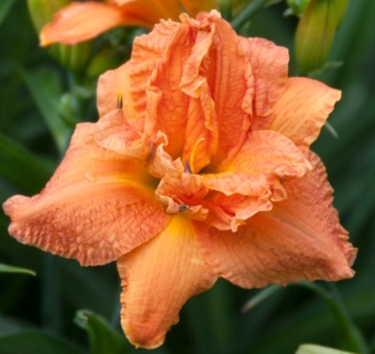 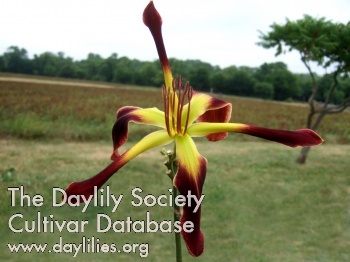 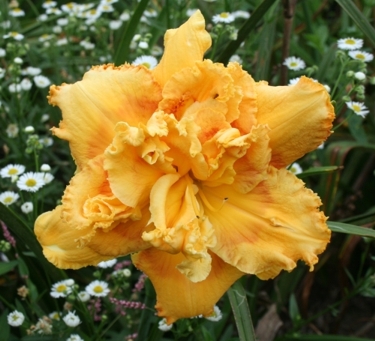 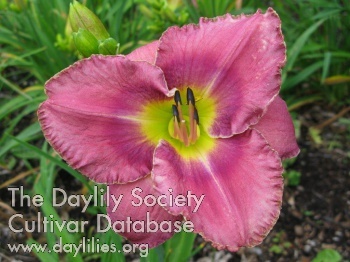 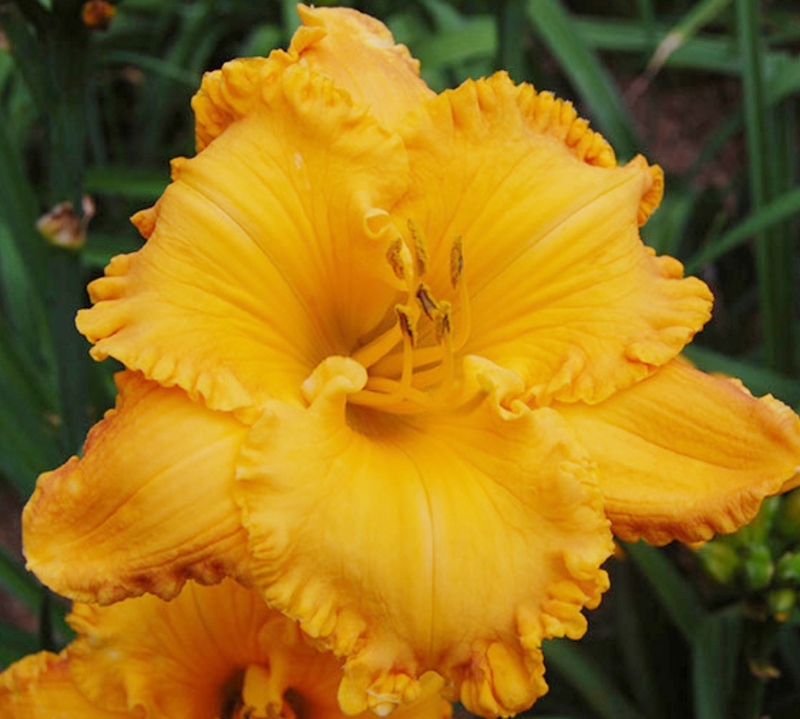 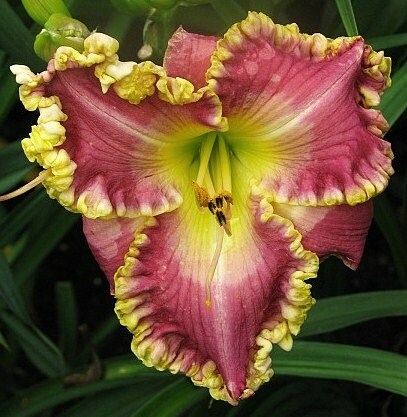 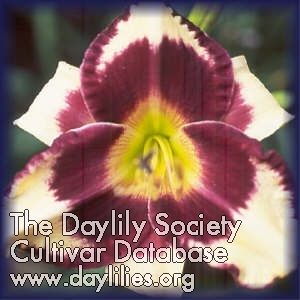 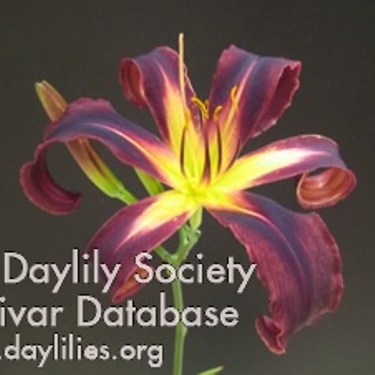 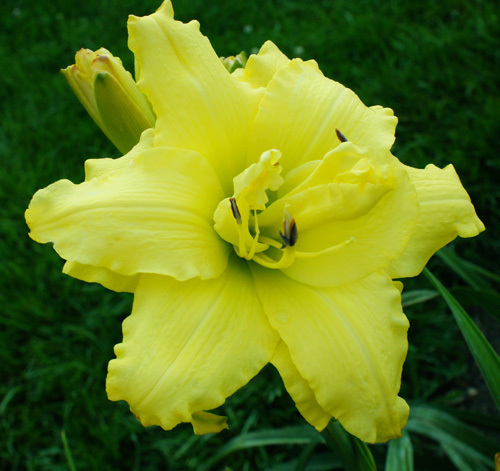 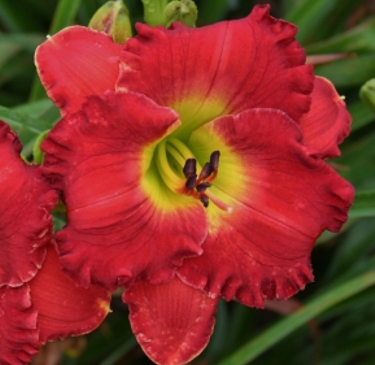 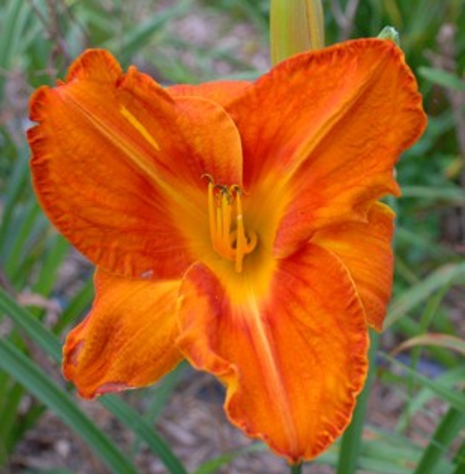 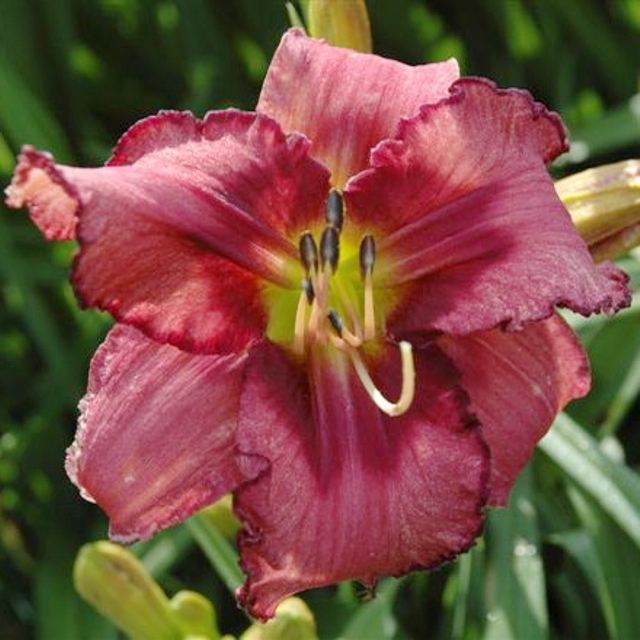 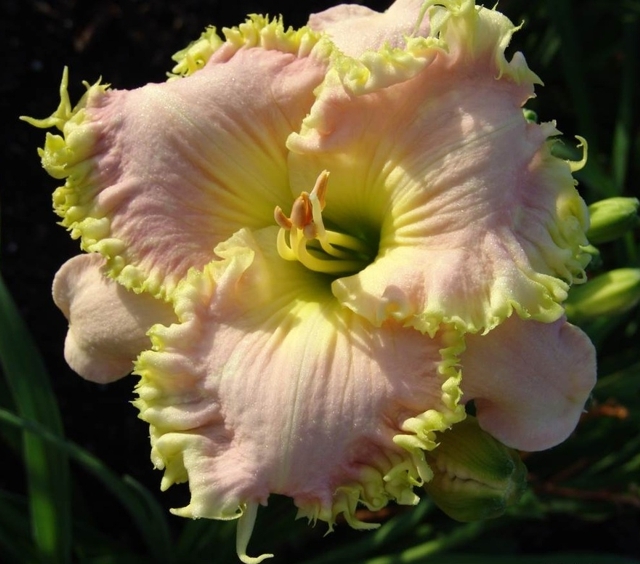 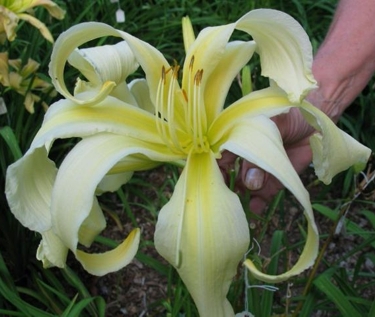 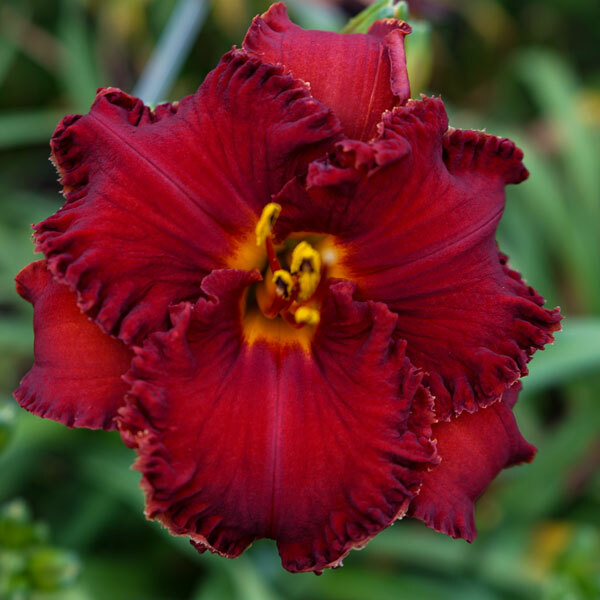 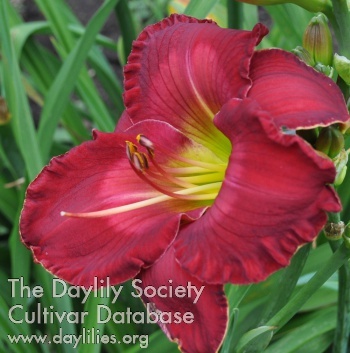 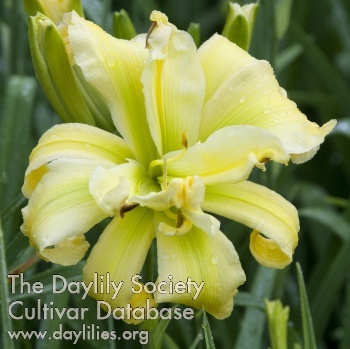 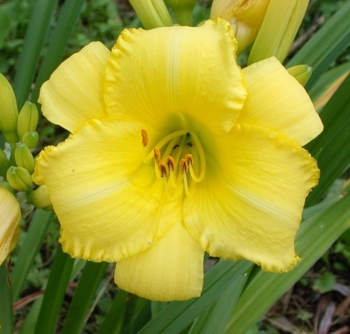 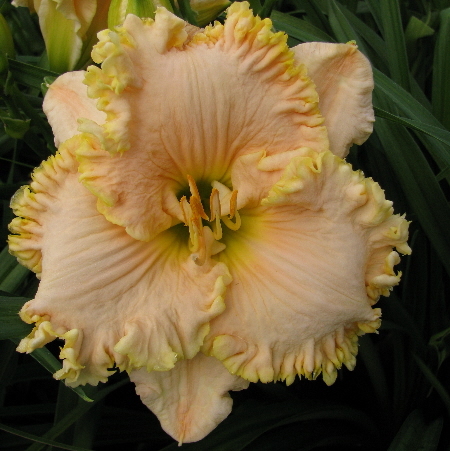 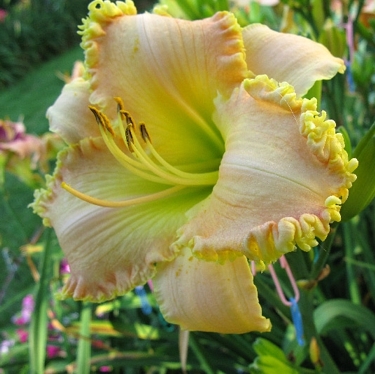 But if you are hybridizing daylilies, then the ploidy is important to note. 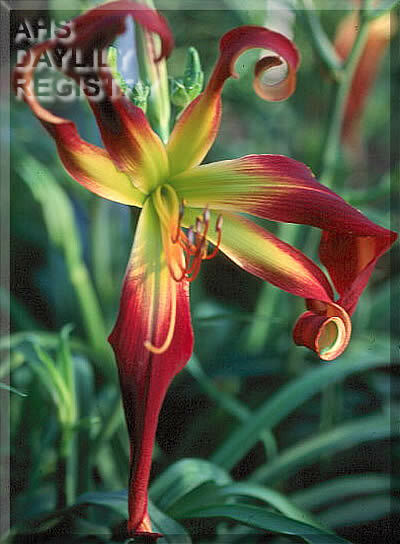 In the following lists, an * before the name indicates it is a tetraploid plant.